Parents can save up to $750,000 in school fees for choosing public education over private a new study has shown. A study on the typical costs for a public education versus a private education across Australian metropolitan regions was conducted by the Australian Scholarships Group (ASG) in collaboration with Monash University in early 2019. The study factored in tuition costs, uniforms, transport, devices and other related education expenses over a full 13 years of primary and secondary schooling if a child were to start school in 2019. Based on Census data for the average number of children per family in Sydney (1.9), Brisbane (1.9) and Melbourne (1.8), the total savings for choosing public over private schooling were $751,505 for Sydney families, $662,018 for Melbourne families and $254,617 for Brisbane families. Of the eastern capital cities, for private education, Sydney was ranked as the most expensive per child with a total education cost of $461,999; followed by Melbourne ($438,391) and then Brisbane ($209,609). Comparatively, for public schools, Brisbane recorded the highest overall public education cost ($75,600), followed by Melbourne ($70,603) and then Sydney ($66,470). The study was based on data sourced from 2,300 members from the ASG regarding education costs, as well as publicly available information on school fees from the Good Schools Guide and My School online resources. With the cost of schooling representing such a significant portion of household expenses, it comes as little surprise that properties located in top public school catchments are highly sought after. Strong demand can add pressure to property prices in desirable catchment areas and factor into investor decisions. “Buying in the right public school catchment zone can be a top priority for many families who either can’t afford or prefer not to send their kids to private school,” said Ironfish Head of Property, William Mitchell. Want to learn more about the fundamental drivers for property performance in Sydney, Melbourne, Brisbane, Perth or Adelaide? Download our latest quarterly market report. Building and growing their wine business on the side! Eric and Mandy migrated to Australia from China over 10 years ago. Mandy is an accountant, while Eric has had a more varied business career, currently working in the insurance industry. His true passion, however, is Australian wine and he has started a wine business in his spare time. 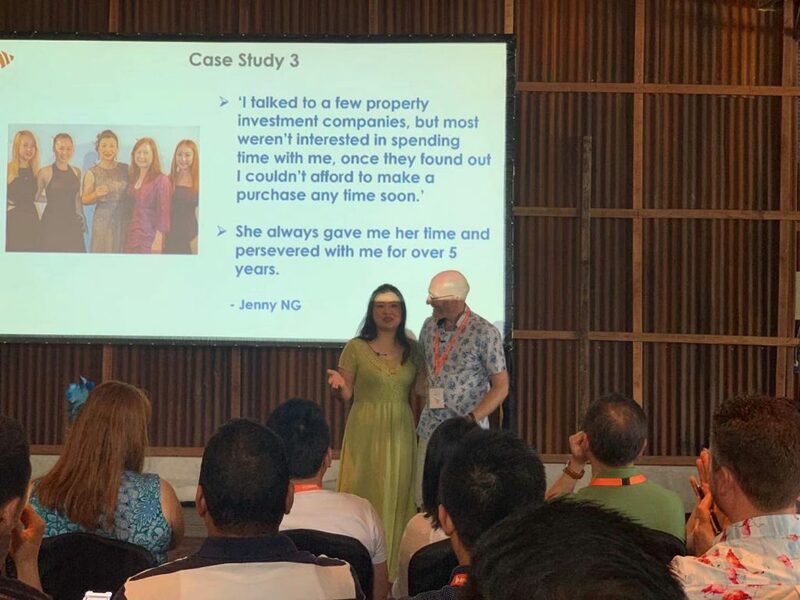 Prior to investing with Ironfish, Eric and Mandy were already property investors. “We came to Australia when were in our mid-30s, so we knew we wouldn’t be able to rely on the pension or superannuation alone for a comfortable retirement. We always thought it was important to invest in property or the share market once we had saved some money. Eric and Mandy heard about Ironfish through a local newspaper. 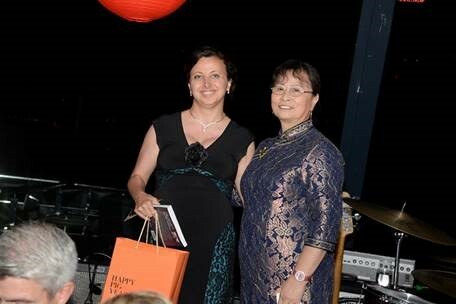 Mandy later met Ironfish Senior Property Investment Strategist Aidan Zhu at a Chinese community social event. 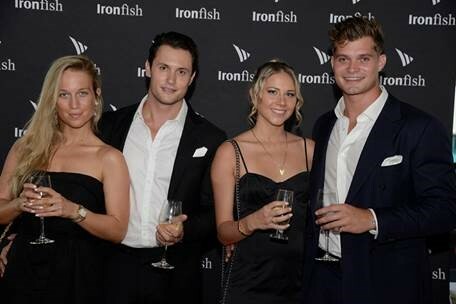 “Aidan invited us to an Ironfish Brisbane event and later a seminar presented by [Ironfish CEO] Joseph Chou. 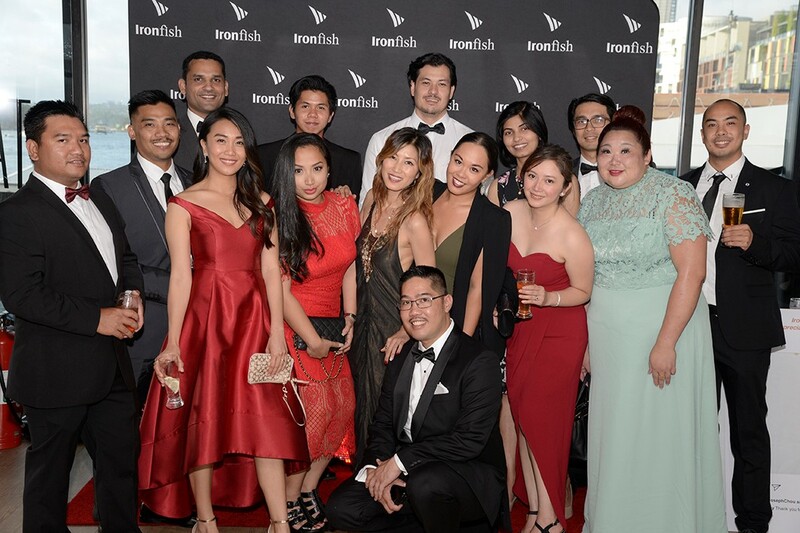 We’ve since become good friends with Aidan and his wife Irene, as well as many of their colleagues at the Ironfish Brisbane office. 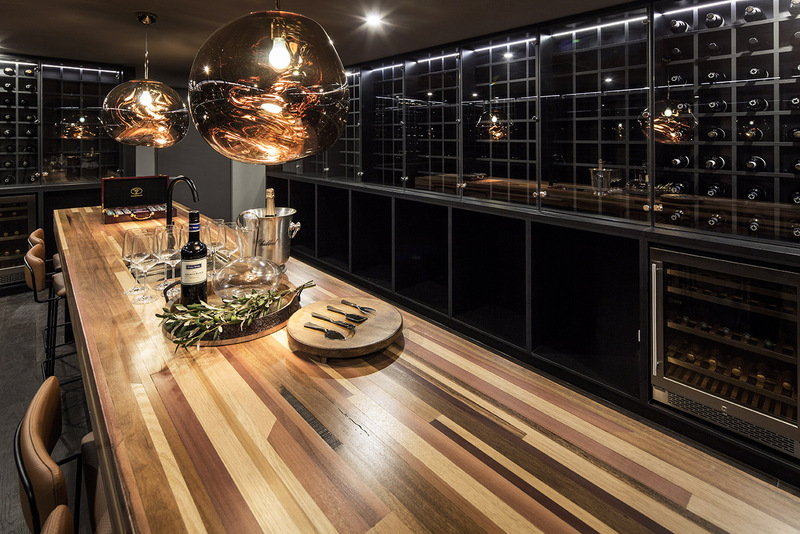 After joining Ironfish Brisbane’s ‘True Wealth’ VIP customer program, Mandy and Eric had the opportunity to view some of the finished properties that Ironfish had recommended to customers in the past. The quality impressed them both. Eric and Mandy have been very happy with their Ironfish service experience, right through to settlement and property management. Eric and Mandy are glad to have started building on their property portfolio, and are keen to expand it further if possible. Keen to read more Ironfish reviews from our customers? We have many inspiring customers who have generously shared their investment experience and property investment tips for the benefit of others. Click the links below to read more. Australian universities have a global reputation for excellence, with many of our universities ranking in the global top 100 or top 50 rankings. Perhaps unsurprisingly, our universities are attracting a growing number of international students. In fact, Australia is now the fourth most popular country in the world for international students and the sector added $28 billion to our economy in the last financial year. Enrolments across our universities are growing – from both domestic and international students – with Sydney and Melbourne, our two largest cities, representing the largest share of university enrolments out of all our capital cities. 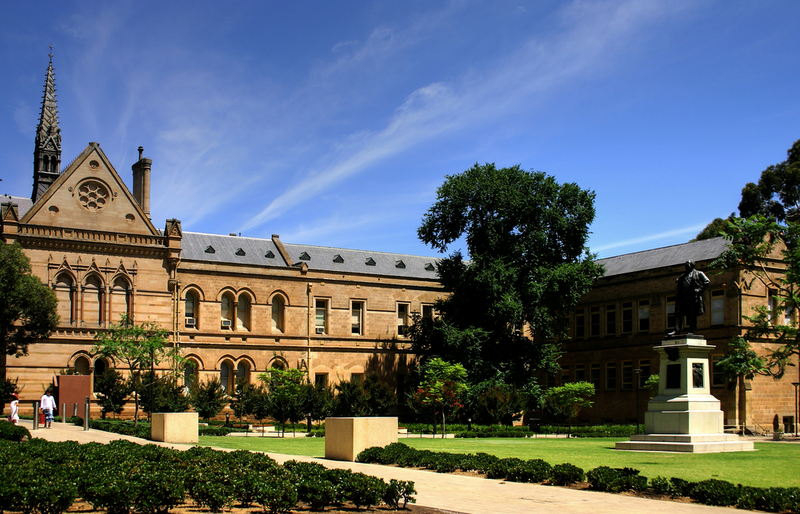 Sydney and Melbourne also account for four of the seven Australian universities ranked in the QS World University Rankings top 100, with Canberra (ANU), Brisbane (University of Brisbane) and Perth (University of Western Australia) taking the other 3 spots. Sydney and Melbourne are known for a longstanding rivalry. Sydney has sunshine, beaches, the harbour, the biggest economy, the largest population and the oldest and arguably most iconic university campus. Melbourne is the nation’s cultural and sporting capital, with a population that’s set to outpace Sydney’s by 2026 and a university that outranks Sydney: The University of Melbourne. Monash University ranked equal 59th in the world. While higher education enrolments are up in both NSW and VIC, the latest data from the Australian Government shows that it’s our Victorian universities that are showing the strongest upward trend in enrolments. Our Victorian universities are also the most popular for international students. In the 2017 financial year, NSW added 129,653 international students. During the same period, Victoria added 156,952 international students. Perhaps more significantly, since 2005, Victorian universities have outpaced NSW’s international student enrolments by a significant margin. Apart from its higher-ranking university, Melbourne also offers another appealing factor for students. Compared to Sydney, renting a home in Melbourne is significantly more affordable. Students in Sydney would have to pay a 24% premium to rent a house, or a 29% premium to rent an apartment, compared to Melbourne. This is despite Sydneysiders earning only a 13% premium compared to Melbournians. 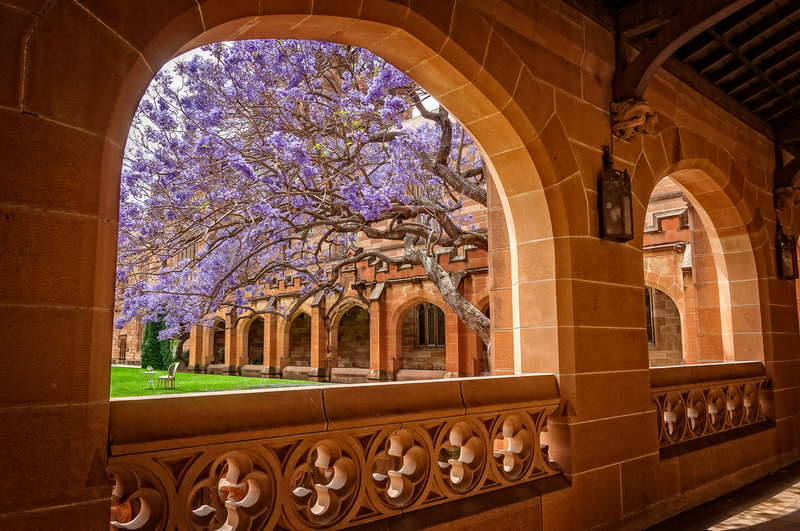 For a student who wants to live within walking distance of their university of choice, despite a pullback in the Sydney market, there is still a premium for living and studying at the University of Sydney as compared to the University of Melbourne. “Higher education is a big business for Australia. Over $10 billion for the NSW economy and over $9 billion for Victoria. With Sydney and Melbourne universities offering a comparable global reputation, it will be interesting to see where students will choose to study, given the rental premium in Sydney,” said Ironfish Head of Property, William Mitchell. 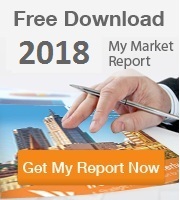 Want to learn more about the Sydney and Melbourne property markets? At Ironfish, we can make property recommendations across all the five major cities of Australia and we have our own specialist staff located in each of these cities: Sydney, Melbourne, Brisbane, Perth and Adelaide. We also regularly invest in training of our strategists to ensure our staff are up to speed on the latest property market research and trends and have intimate knowledge of each of these cities – not just their home city. 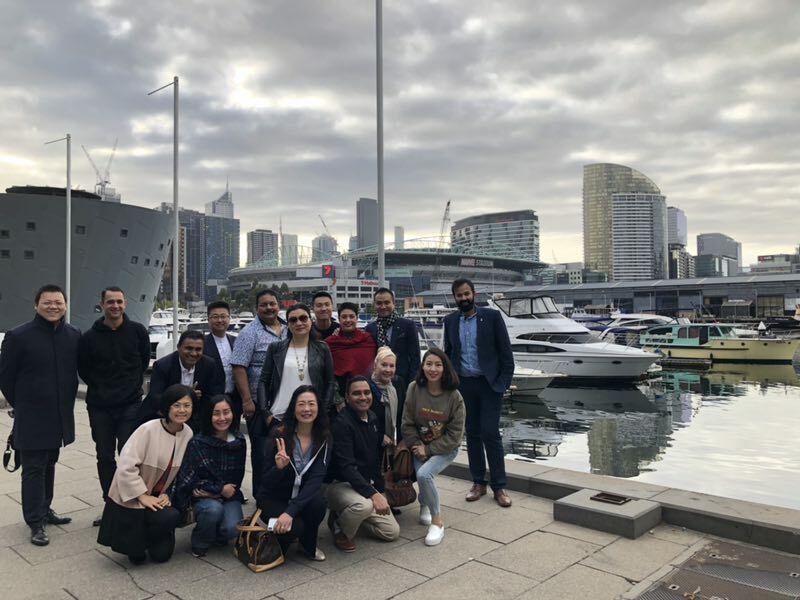 Recently, our Head of Property, William Mitchell, took our Ironfish North Sydney and Burwood strategists on a tour of Melbourne. 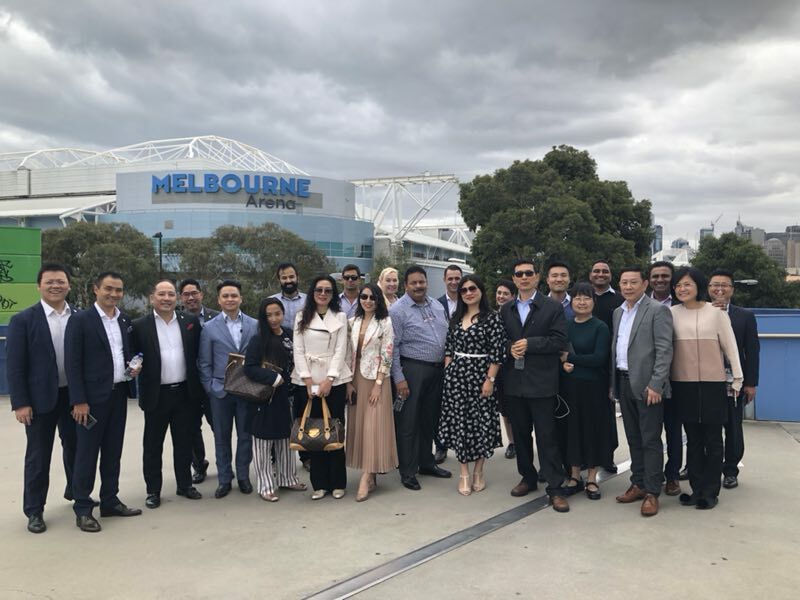 The team explored the inner-city suburbs, stood at the top of Melbourne’s tallest tower and wandered through the epic stadiums that represent Australia’s sporting heart. There was also the opportunity to devour delicious food right next to the Yarra River and enjoy an amazing coffee (or two) in some of the coolest cafes in Melbourne. “Many of our investors may live in Sydney, but wish to take advantage of the Melbourne market,” said Ironfish Head of Property, William Mitchell. “They also don’t necessarily have the time or desire to travel down to Melbourne themselves before they invest. Melbourne is currently Australia’s second largest city, and on track to outpace Sydney as Australia’s most populous city by the 2030s. Want to learn more about investing in property in Melbourne (or simply find out where you can get Melbourne’s best coffee)? Book a free appointment with your local Ironfish property investment strategist, who will be able to answer all your questions! 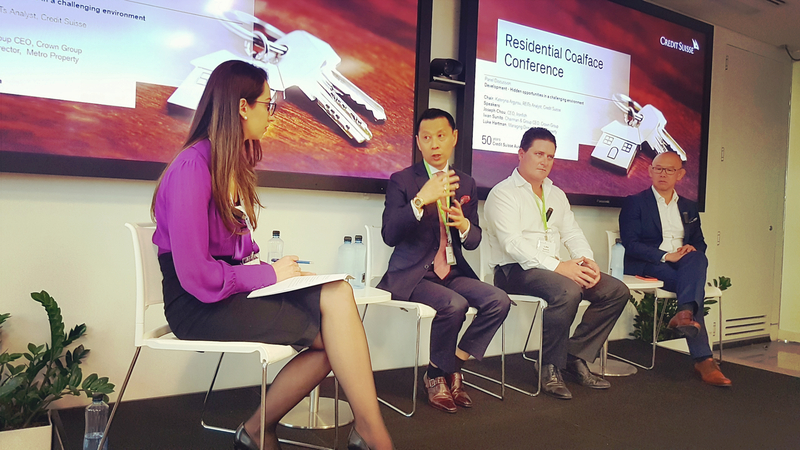 This morning, Ironfish CEO & Founder Joseph Chou joined several key industry titans in a panel discussion at the Credit Suisse annual residential property market conference. Attended by over 80 Credit Suisse investors, including fund managers in equities, the panel of experts shared their views on the current property market, lending and new trends. Panellists came from a range of sectors within the property industry representing companies such as ANZ, Mortgage Choice, Probuild, Multiplex, Mirvac, GreyStar, Boral and Crown Group, at CEO, Director or General Manager levels, providing unique expertise and insights from ‘the coalface’. 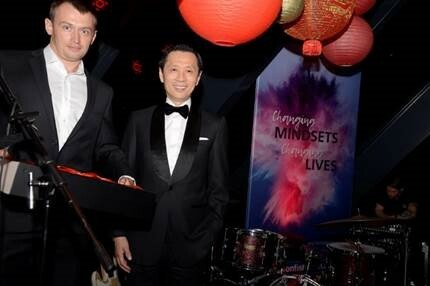 Joseph Chou sat on a panel with Crown Group Chairman Iwan Sunito and Metro Property Managing Director, Luke Hartman. 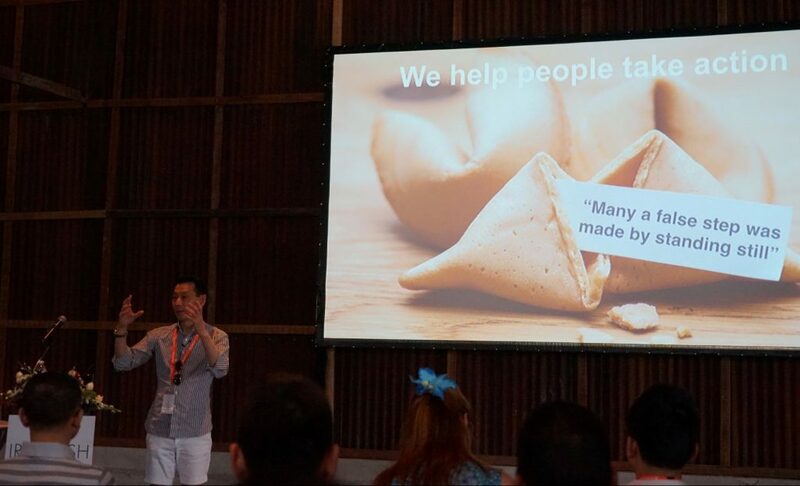 Mr Chou shared some of Ironfish’s unique services and processes that have ensured our continuing growth and success, despite a slowdown in the Sydney and Melbourne markets. 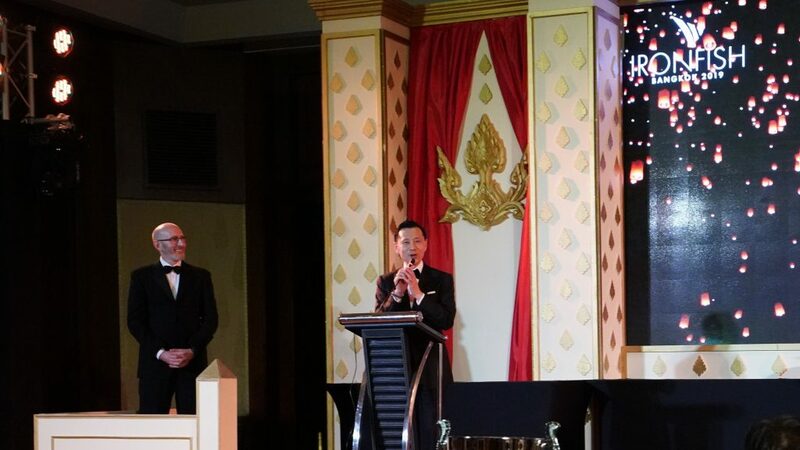 “For us, the key is that we partner with our investors for the long term; helping them not only to build a portfolio, but also to hold that portfolio for 10, 15 or 20 years to achieve their investment goals and retire on this income along with their super,” said Mr Chou. “Our national reach means we can also help our investors to take advantage of other market cycles, and now more than ever, properties we recommend must have owner-occupier appeal, and not ‘investor stock’. 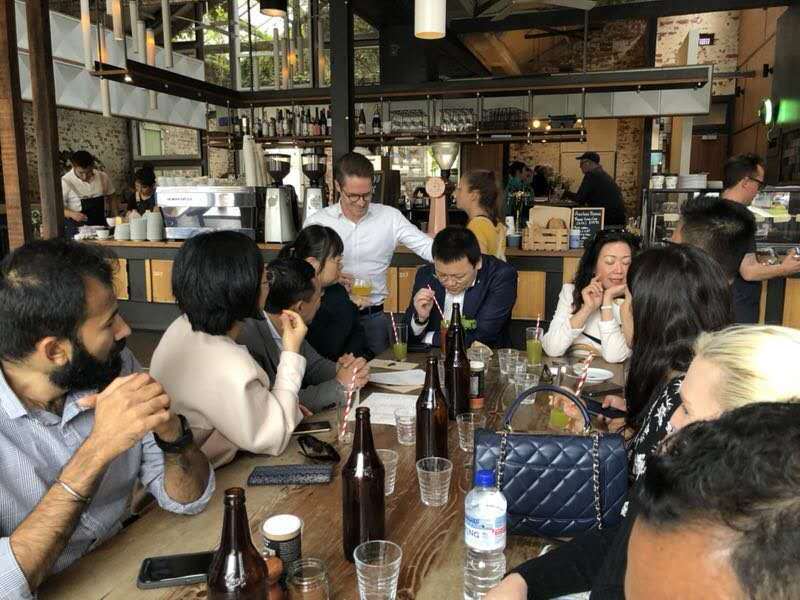 Mr Chou also noted that the partnership and trust developed with our customers helps keep our investors focussed on their long-term goals, without being swayed too much by sensational media headlines. The final question asked by the panel moderator, Kateryna Argyrou, Credit Suisse Head of REITs, was perhaps the ‘million-dollar question’ for the audience. “In your opinion, what’s the one factor that will turn the property market around?” Ms Argyrou asked. Each of the three panellists offered a unique opinion. 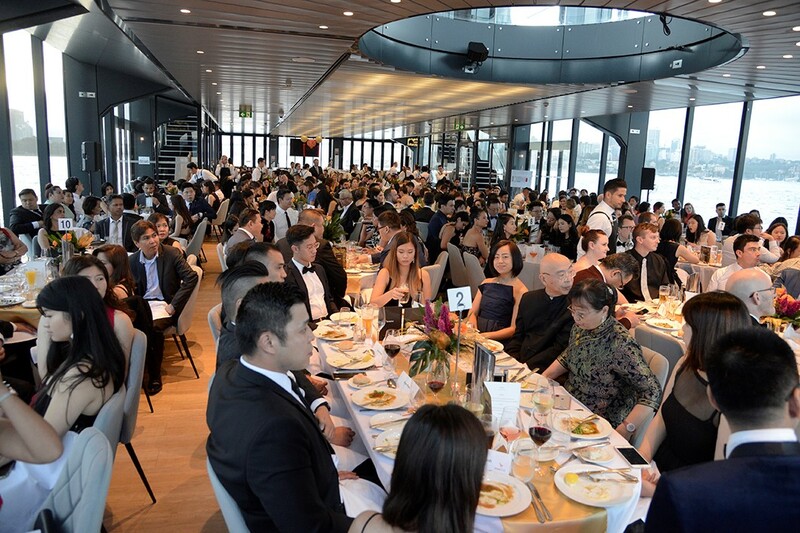 Follow our blog and monthly newsletter for the latest messages from our CEO, Joseph Chou. Congratulations to all our investors in “Oxley + Stirling,” a luxury apartment building in Brisbane developed by Aria Property Group. Oxley + Stirling has taken out top national honours at the recent Urban Development Institute of Australia (UDIA) Awards, winning Best High-Density Development in Australia. 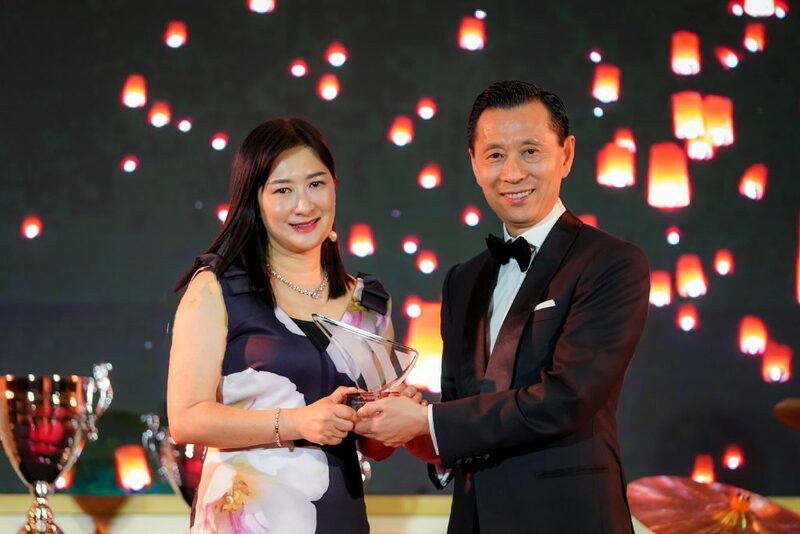 This year’s win marks three years in a row that Aria Property Group has won the award in this category – the first time a developer has ever managed to achieve this feat. “Since the national awards program started in 2001, no single developer has won any category two years in a row and it’s so humbling for myself and all of the Aria team to be announced as the winner of the award three years in a row,” said Aria Property Group Managing Director and Founder, Tim Forrester. The building was judged against 80 developments nationwide. Aria is known for pushing the envelope in communal spaces in their buildings; Oxley + Stirling has its own Residential Rooftop Club with infinity pool, private dining room, theatre room, fitness centre, reflection pond, sunken lounges, barbecue areas, in addition to a residents’ library and wine cellar. 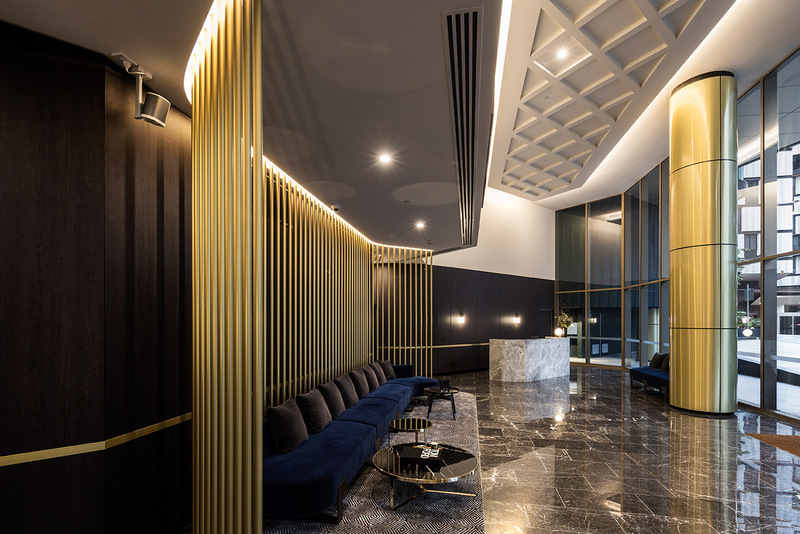 Oxley + Stirling also carries Aria’s signature residents’ services including concierge, personal training, yoga classes, fresh fruit and bicycles, as well as community groups in the building. 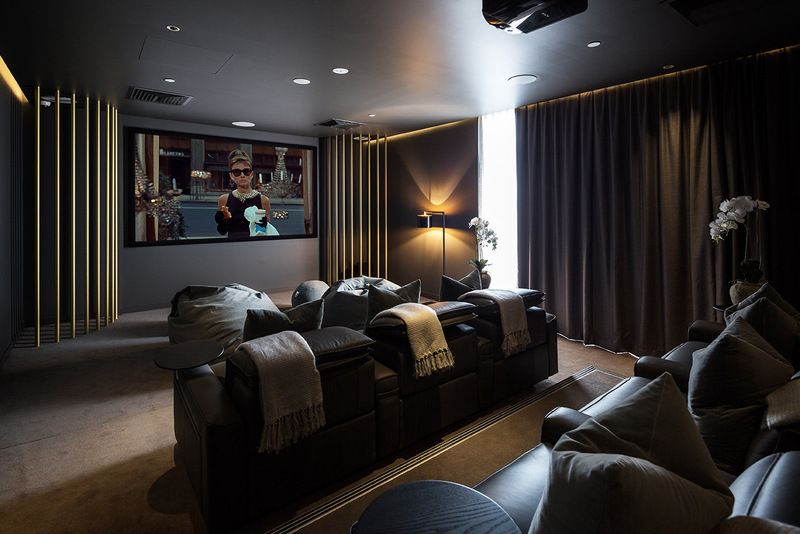 “Aria’s mission is to deliver properties which they will be proud to walk their families past in 20 years’ time. This commitment to quality, legacy and a desire to continually raise the bar higher is a commitment we share at Ironfish,” said Ironfish Director, Property & Research, Grant Ryan. At Ironfish, we work exclusively with developers who share our commitment to quality; properties we recommend to our investors are subject to a rigorous selection process. If you’d like to see which properties meet our high bar, you can register to access our list here. A little career advice from our CEO & Founder, Joseph Chou. Last year, I helped my nephew, a recent university graduate, earn $200,000 in his first year. Like many ambitious young people, my nephew had managed to do well at university and had secured himself a role at KPMG, which he was all set to take – until I convinced him not to. Or more accurately, until I broadened his mind to larger possibilities. For those of you who have come along to one of my seminars, you will know that one of my biggest passions is working with people. And more specifically, helping people build bigger dreams and then understand how to go out and achieve those dreams. My nephew had dreams, but they were still well within the conventional scope – a global brand, a good starting salary and the ability to progress up the ranks over time. While he is smart and ambitious, he is also young, with limited experience of working with people. I often say that everyone needs to learn sales skills, at the very least, because you’re going to need to sell yourself at a job interview or for the next leadership role. But the truth is, having “sales skills” doesn’t have anything to do with “selling” at all, it’s actually about knowing how to communicate effectively with people. 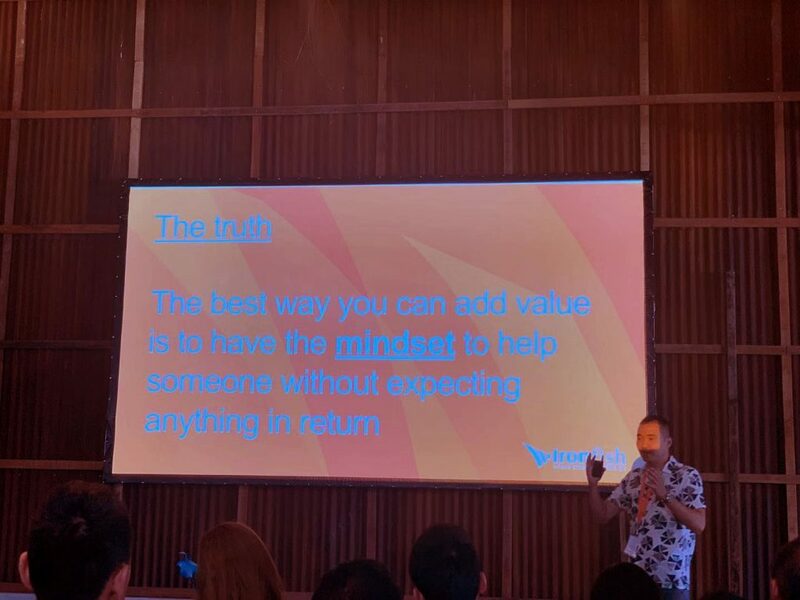 My nephew took this advice, and instead of the KPMG role, he decided to spend a year in Australia (he lives in China) working at a retail property sales company. While I didn’t offer him a job at Ironfish – we tend not to hire family members so as to keep our company culture entirely based on merit – I did agree to be his mentor. We met once a month, and I would give him training and career advice. The first thing I said is that it’s important to trust me. “There’s no point asking me to be your mentor if you don’t trust my experience and my judgement. So please, just follow my advice exactly, and you will get results,” I told him. He worked hard, though to be honest, he probably only worked at about 70% capacity – and still, he managed to meet his goal of earning $200,000 in his first year. Two weeks ago, my nephew returned to China with a number of job interviews already lined up. 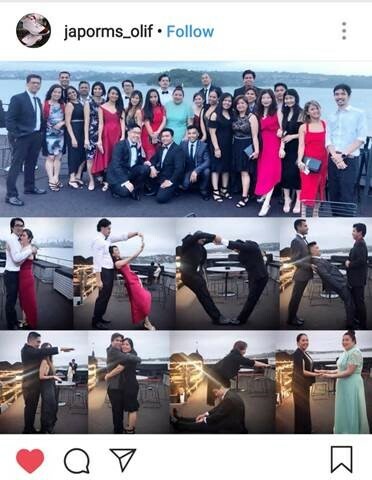 After his year in Sydney, he has not only gained so much valuable experience of working with people, he also has a great story to tell at his job interviews. Imagine turning up to an interview along with hundreds of other graduates, except that you can say, “in my first year of work experience, I earned $200,000.” Suddenly, you stand out. While not everyone is looking to move into sales, the underlying principles of his success are universal. Perhaps by looking for a job at a large organisation or the government. However, job security may come at a trade off with limitations as to how far you could progress. A Fortune 500 company or a globally recognised brand. These types of companies tend to attract very talented people. But the culture of the organisations doesn’t tend to support ‘exceptional’ growth. Many successful people might reach a bottleneck in their career, and find their dreams, income and career growth will plateau after a while. To grow skills, responsibility and income; for this goal, a smaller organisation may be better suited. In smaller organisations you will be required to wear more hats, multi-task more and take on responsibility more quickly. If you’re planning a new career, my first piece of advice would be to identify what your career goal is. This will help you narrow down the options of what type of company you may want to work for. Are you looking for security, prestige or opportunity in your career? 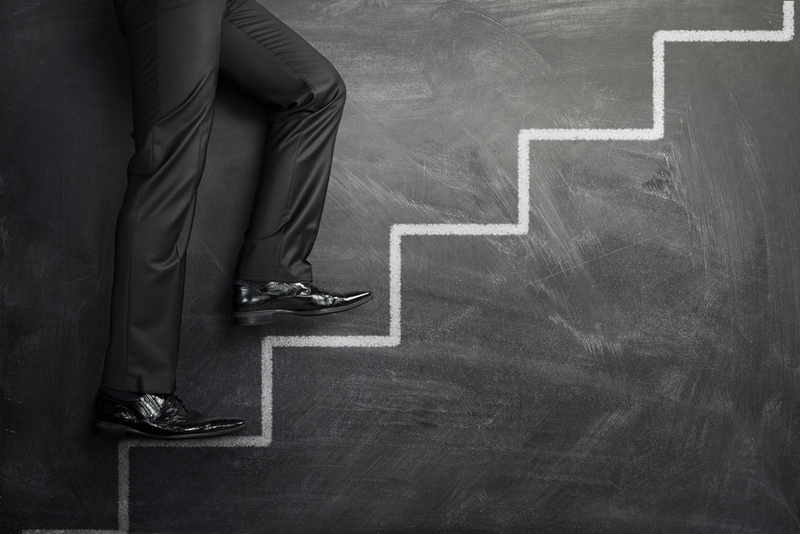 Identifying your career goal is the first step. So how important is money? What is the organisation’s vision and values? If you’re ambitious, there’s no point working for a company without a vision for its future. As we often say, if you stop dreaming you stop learning and if you stop learning you stop growing as a person. The same applies to a company. You also want to ensure that you’re going to be putting all your efforts in for an organisation that means something to you. Do you align with its values? Is it a workplace you can be proud of? Is there a good working culture here? Is it a collaborative culture, where people help to build each other up? Is it a happy place to work – consider, you’ll spend 8 hours a day at work, the workplace culture is important. What kind of person is my boss – what are his or her achievements? Does your boss have good values; can you learn from them; do they have a generous outlook and are willing to share opportunities or is it just about profits at all cost? Who is in the team – who will I be working with? Will you be going home with a smile, or bringing home negativity from work? What are your team members like? What are their achievements, what can you learn from them? Or if you’re thinking of going into business with someone, do you have shared values and vision. If a partnership – of any kind – is formed on short term things like money or looks, it’s not going to last. If I give it everything I’ve got, is there room to grow? This is an important one: as long as the company you choose provides a platform for growth if you prove yourself, then your starting salary doesn’t matter. Consider the long-term potential instead. 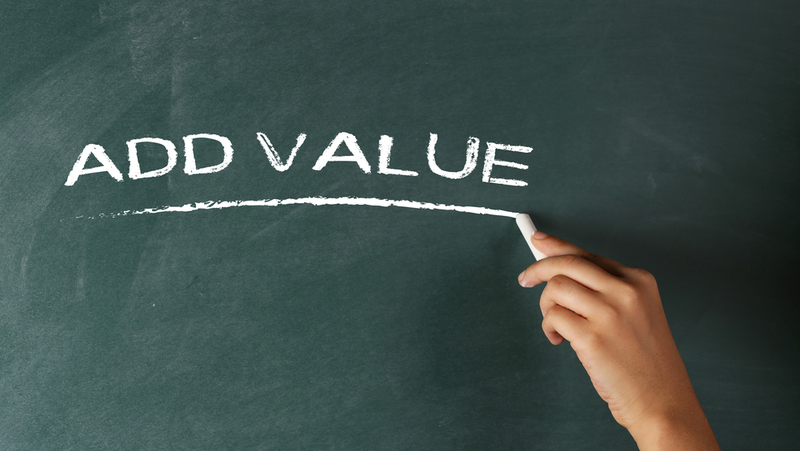 I am a big believer in adding value. Imagine if you’re renovating your house, and you have a tradie come to fix the plumbing. You then discover there is an electrical issue, and your tradie has the option to say: “hey that’s not my job,” forcing you to search around and book in another tradie. Or they might say, “oh I know someone who could do that for you” and organise to get it done. Most people are very willing to pay for the service. Look for ways to add value to the business; have an ‘owner’s mentality’ to your work. If you can add value to the business that is quantifiable, sooner or later people will start to recognise your value and will reward you accordingly. No doubt, the answer will always be yes. Having an ‘owner’s mentality’ will transform the way you work, and this will help you stand out. Many people ask me, but what if I do all the above, give it everything and I still don’t get the recognition? If that’s the case, it’s still not a problem, because your time has been well spent; you’ve learned so much, you’ve grown so much, and you have results that can be replicated again at another organisation that values your contribution more! How long should I stay? / Why should I leave? Once you’ve been with your chosen company for some years, the next thing many people consider is whether to stay or whether to move on. Most people will stay with a company if their needs and goals are being met. They will leave when they’re bored or they don’t like the people anymore or they didn’t get a pay rise. Having the right team around you is essential. You’re at work for eight hours a day; you want to be with people you like, share some laughs, share the workload. You don’t want to go home with nothing left in the tank. For me, working with the right people is so important. If I don’t like the people and don’t feel confident that we’re aligned in our values, then we don’t do business with them, no matter how good the deal might be. That said, no matter where you go, you’re going to encounter people who are difficult to work with. You could change jobs to avoid certain people but there’s no guarantee you won’t have the same experience at your new workplace. 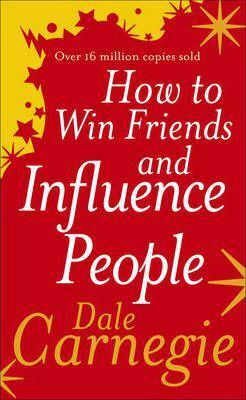 What’s better is to improve yourself – learn how to work with people. Find ways to work with people’s strengths rather than their weaknesses. If you can understand people’s intention it can help you see beyond the behaviour and remain calm. Life is all about finding ways to solve problems. If your problem is that you’re bored, then you’ve probably stopped dreaming. Everyone needs a dream in life, it makes life interesting and purposeful. It keeps us focussed and helps us to elevate our lives above an endless repetition or routine. Every time you work, you’re creating your life story. Think about it – are you realising your full potential? This may be especially relevant to those who’ve already been working 10 – 15 years, are earning a good income, but have plateaued. Without the right mindset it’s hard to break past that. If you decide to move companies to get a payrise, it may add an incremental amount to your income, but it’s not going to dramatically change the way you are valued in an organisation over the long term. 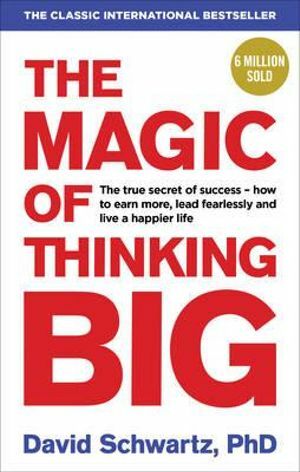 Instead, find ways to add value, think like an owner, approach your work as a career – not a job, improve yourself, your communication and leadership skills – ie the way you work with people – these are the fundamental factors which will drive your career success, your personal career satisfaction, and of course, your income. 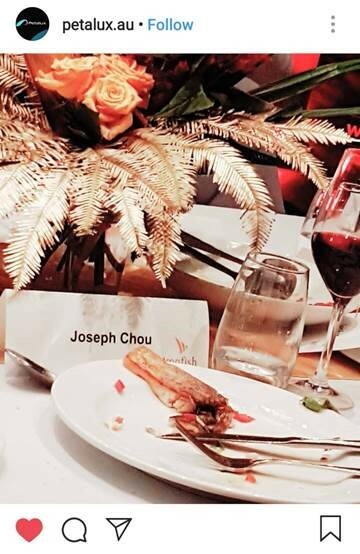 Joseph Chou delivers workshops on career, mindset and investment at a range of events and seminars around the country. Many of these events are free to attend – book your seat at Joseph’s next speaking engagement here. The Coalition has won its third consecutive term in NSW government, led by its first female elected Premier, Gladys Berejiklian. The Coalition win has been largely welcomed by property investors, due to two key policies, which while not directly impacting property, are underlying drivers for market performance over the longer-term in Sydney. Transport was a key theme in Premier Berejiklian’s pre-election promises, with the announcement of new key transport projects set to directly benefit Sydney’s western suburbs. In recent times, a large part of NSW’s infrastructure planning has been guided by the Greater Sydney Commission’s Three Cities Strategy, which delivers concentrated benefits to the Sydney’s West and South-West regions to support the Western Sydney Airport planned to open in 2026. 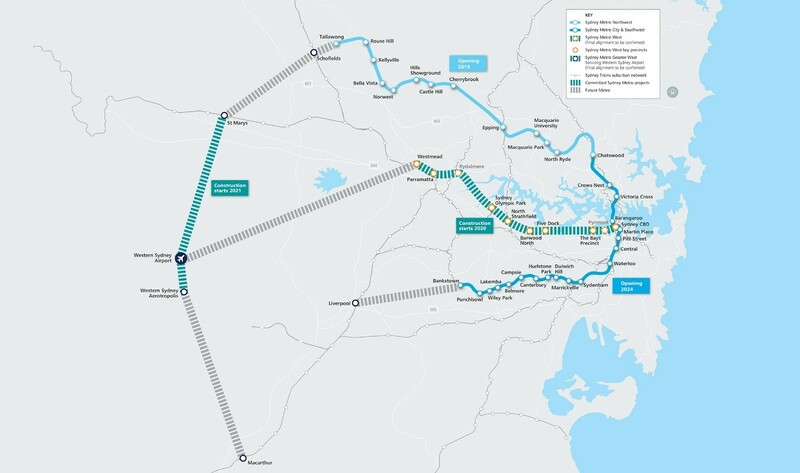 One of the main election promises was the delivery of the Metro West project — a new rail line from Parramatta to the CBD which is expected to commence construction in 2020 and cost $18 billion in total. Roads were another key spending area, with commitments to upgrade arterial roads such as the M5 through Sydney’s South-West and the M4 to Sydney’s west. Outside the west, the Government also promised to start building the Northern Beaches tunnel (now known as Beaches Link) in 2020. 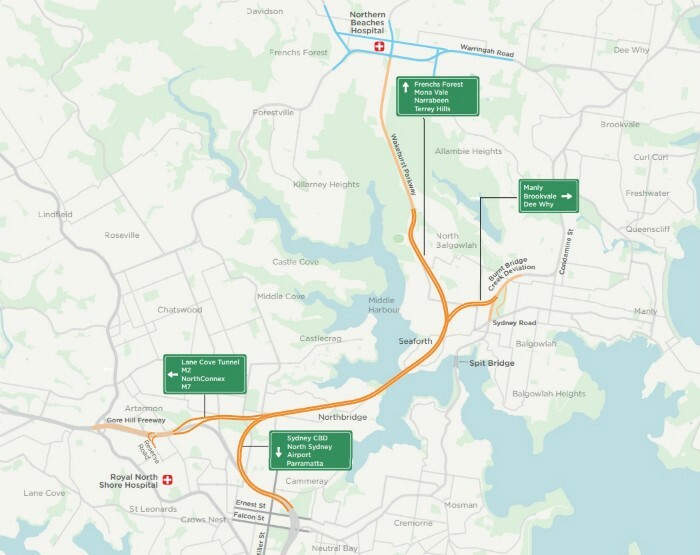 The $14 billion Beaches Link project is a proposed tunnel linking the Northern Beaches to the Warringah Freeway and south across the harbour the Western Harbour Tunnel to Westconnex. 13 minutes: Olympic Park to North Sydney. Construction of the Beaches Link is expected to begin in 2020, however this is still subject to planning approvals as well as finalisation of financing and procurement arrangements. Prior to the election, the State Pre-Election Budget release showed positive signs despite house price pullbacks in Sydney. Projections from the NSW Treasury showed that the 2019 financial year state budget would be in surplus by $846 million. Future forecasted surpluses for the State are expected to average around $1.3 billion over the next four years. The NSW Treasury expects state economic growth to trend at 2.5% annually over the following three years. The jobs market is expected to remain healthy buoyed by infrastructure spending. 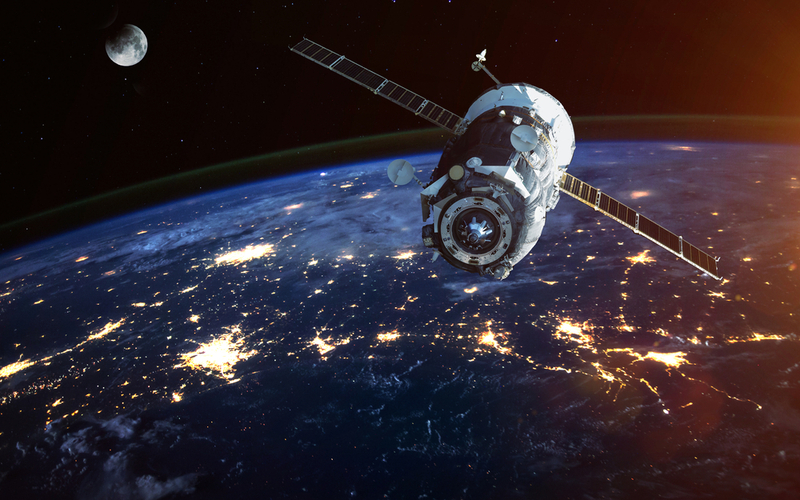 NSW Treasury modelling released in March 2019 showed that public infrastructure spending will support more than 100,000 direct and indirect NSW jobs each year over the next four years, translating to 400,000 jobs to 2023. The unemployment rate was 4.1%, corresponding to a seasonally adjusted unemployment rate of 3.9% – the best result in more than 4 decades. NSW’s net worth remains the highest of any state or territory in Australia. The state’s net worth is projected to grow to $312.3 billion by June 2022. According to the latest CommSec State of the States report (released January 2019), NSW is now tied with VIC as the best performing state economy. The NSW economy has benefited from solid population growth and strong job markets which helped to drive retail spending and business investment. “Sydney property prices continue to be a major point of concern for many investors, yet the NSW economy remains strong, jobs growth is healthy, and the State Government is continuing its commitment to deliver the infrastructure needed to support rapid population growth along Sydney’s west, South- and North-west,” said Ironfish Head of Property William Mitchell. Want to stay up to date on the latest news impacting the property market? Subscribe to our monthly property investment newsletter. Shelley has had an interesting and highly varied career. Back in China, Shelley was a civil servant, working as a policy-maker at the Guangzhou Municipal Finance Bureau. After migrating to Australia around 20 years ago, Shelley worked part time as a kindergarten teacher, while also supporting her husband in his business. It was only after attending a school reunion in China that a desire for another major career change ignited. Shelley got her real estate license in 2012, but didn’t join the industry till two years later. Taking the plunge to enter the property industry was a clear step outside Shelley’s comfort zone, but so was investing. “I always knew property would be a good investment and every time prices would rise, I’d again regret that I hadn’t got into the market. I knew I should have started investing 10 or even 20 years ago! But at the same time, I was a kindy teacher, my income was very limited and so was my time. Most importantly, there was no strong urge to get me out of my comfort zone and start investing. Shelley is one of our top strategists at Ironfish, and is well known for her immense work ethic; always studying the market and looking to improve her investment knowledge, and meeting customers at any and all times of the day. 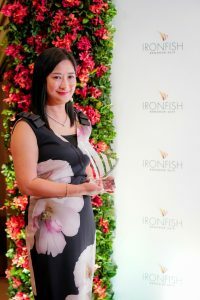 “Ironfish Burwood Managing Director, Linda Lu made a strong impression on me, quite early in my career at Ironfish. She said, if you want to live an exceptional life, then you have make an exceptional effort ie you have to go above and beyond what others will typically do. 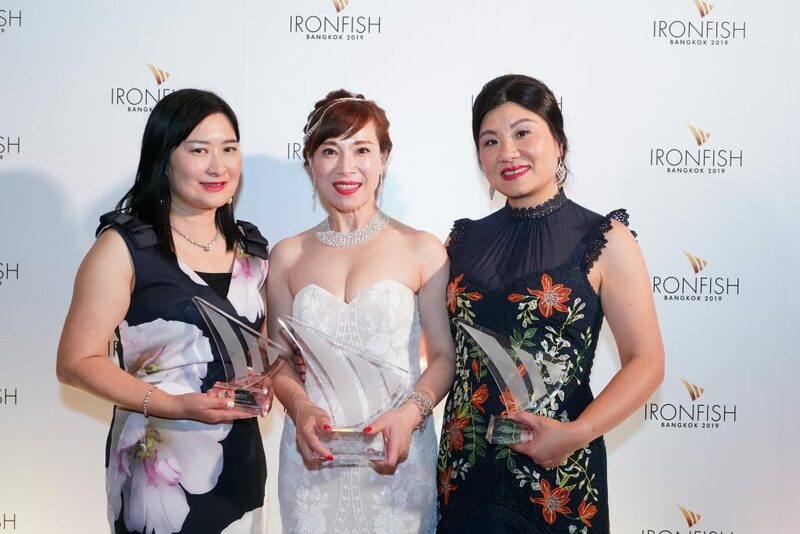 Ironfish has helped me take my life to the next level, giving me a fulfilling career both in terms of personal satisfaction with the work we do, and also in terms of career and income growth. 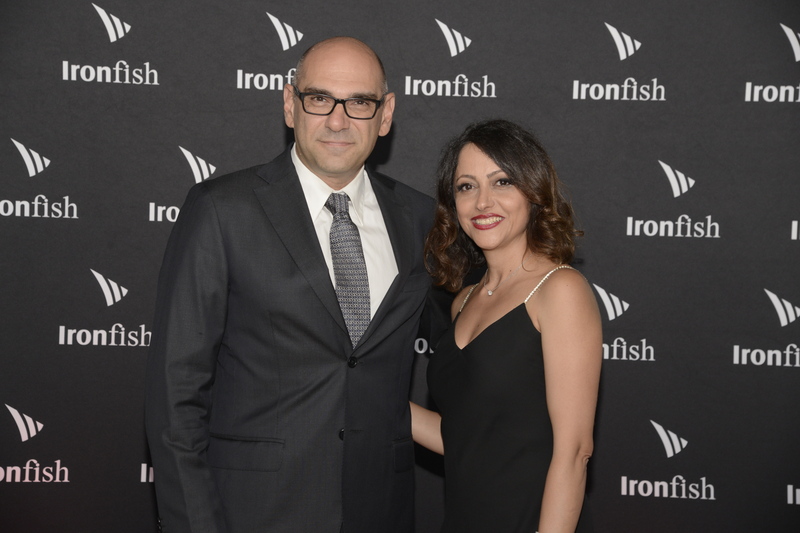 Ironfish also helped me change my mindset – giving me the power to change and the determination to invest. For all these things, I am full of gratitude to Ironfish. Come talk to me about how I did it! Honestly, I know exactly how hard it is to sit on the fence, knowing you want to do something, but not knowing how to push past your comfort zone and just do it. Practically speaking, I can also help with the numbers, and show you some cash flow scenarios with an intended property purchase. While it makes sense to invest with market cycles, it’s worth knowing that no one can predict the future or what will be the perfect time to buy. While you wait for the perfect time to buy, it’s like the market has quietly rebounded, meaning you miss out on the opportunity again. If you’re investing for the long-term, the ‘perfect time to buy’ really doesn’t matter so much. It’s about getting in as soon as possible, and then holding for the long term. Our latest E-book is out now! 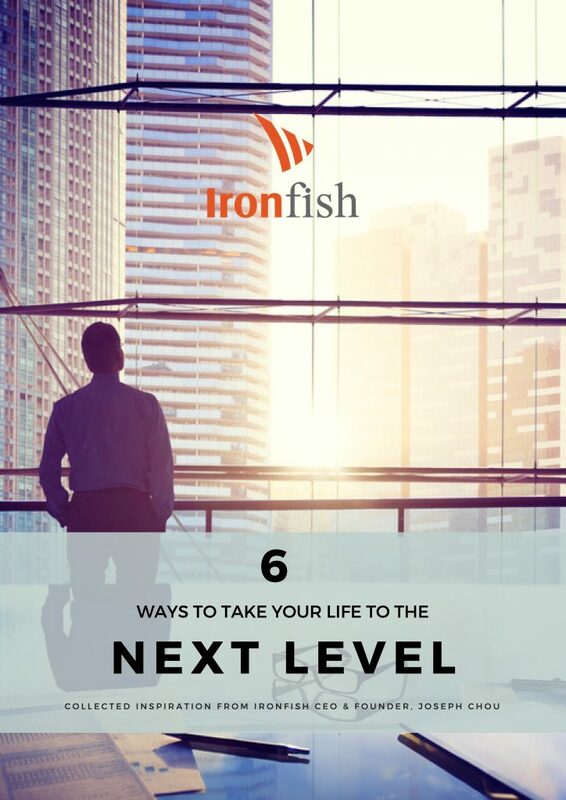 “6 ways to take your life to the next level” is full of practical tips and insights on how to get to your next level of success, be it your career, investments, finances or personal development. When you think of Australia’s vast mining or resources sector, iron ore, coal or perhaps even uranium typically come to mind. However, in the space of only a couple of decades, Australia – or effectively Western Australia – has quietly become the world’s largest producer of a different mineral, and one which is experiencing a massive surge in global demand: lithium. Lithium batteries made worldwide headlines when Elon Musk famously made a pledge on Twitter to deliver the world’s largest lithium battery at an Adelaide wind farm in ‘100 days or it’s free’. 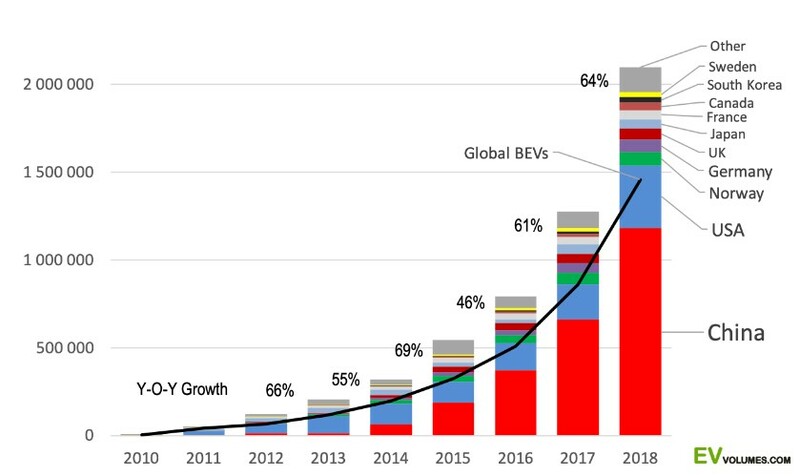 But the growing demand for lithium spans beyond renewable battery and energy storage – it’s also the driving force behind a fast-growing industry: electric vehicles. The global popularity of electric cars is soaring, with global manufacturers, especially in China, producing new electric vehicles at an exponential rate. As global demand for electric cars reaches new heights, so too does demand for lithium, which is a key ingredient of electric car batteries. The surge in demand has driven up the price of lithium four-fold in just four years. In 2000, Australia’s market share of raw lithium production was 13%. By 2018, Australia owned more than half of the world’s total market share of lithium output. The number of jobs in the sector has risen almost seven-fold in just three years, according to the Western Australia Government. Chief Economist at the Department of Industry, Innovation and Science, Mark Cully, estimates lithium to be worth hundreds of billions of dollars for Perth and the wider Australian economy. “Australia has strong potential to move to the centre of the global lithium supply chain given its geological advantages, its experience in rolling out mining investment, and the skills of its workforce,” Mr Cully said. Lithium mines are spread out across the country in South Australia, Queensland and Northern Territory, though Western Australia (WA) holds the most significant deposits. WA has announced several new mines in the last 12 months alone. To provide a sense of the scale of these projects, the five largest of these WA mines have a project value of $2.8 billion. “Australia is now the lithium capital of the world and Pilgangoora is one of the biggest lithium mines on the planet,” said Neil Biddle, Co-founder of Pilbara Minerals, which opened its mine and processing plant in February 2019. While the lithium industry charges full steam ahead, global demand for iron ore has also spiked. 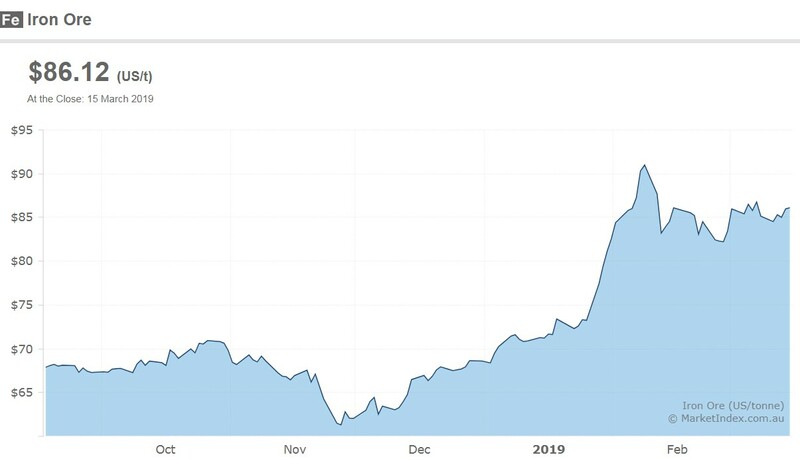 A recent suspension of major iron ore mines in Brazil has driven iron ore prices up significantly higher than Government predictions only a year ago. The 2018 Federal Budget originally forecast the price of iron ore at $US55 a tonne; however, it is now hovering at $US86, representing a 56% premium to last year’s forecast. The global iron ore price spike is expected to add an additional $6 billion to this year’s Federal Budget, to be released early next month. As the global demand for electric cars and new-generation batteries continues to surge, the impact on the Perth economy is expected to be impressive. Further supported by a strengthening resources sector, the Perth economy over the medium term will be a hot topic amongst keen investors. 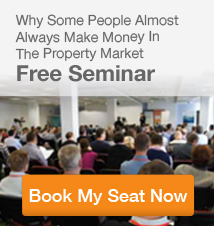 Keen to learn more about the fundamental drivers of the Perth property market? Download our latest quarterly market report or watch our latest video market update below. Anyone who remembers the Sydney suburb of Surry Hills 20 years ago, will know how much the suburb has changed. Surry Hills is incredibly well located – bordering the CBD; it’s close to many public transport options including Central Station, all the major universities and easily connected to local parks and beaches. Over the last two decades of gentrification, Surry Hills has transformed into a ‘place to be’ – with some of the best bars and chic restaurants in Sydney. Old warehouses have been converted into smart apartments, more families and professionals have moved in, and property prices have soared alongside the increasing demand. If you look for parallel suburbs in Melbourne – a city now outpacing Sydney in terms of population growth – there is one suburb that comes to mind. The inner Melbourne suburb of West Melbourne offers the same walk-everywhere lifestyle, ‘hipster cred’ and vibrancy of city-living as Surry Hills – and like its Sydney counterpart – it is transforming fast. Situated right at the north-west edge of the city, West Melbourne has all the charms of the city right at its doorstep. Like Surry Hills in Sydney, West Melbourne borders the CBD and it’s also only a 750m walk to Australia’s top university, the University of Melbourne. Residents can walk to Flagstaff Gardens, Victoria Markets and the waterfront at Docklands. West Melbourne is also similar demographically to the old Surry Hills, with a lot of young professionals in residence. Currently, 65% of residents in West Melbourne are aged between 24 and 39; well above the Melbourne average of 31%. The vast majority (84%) of West Melbourne residents are employed in white collar industries. Melbourne as a whole is already the fastest growing city in Australia, with a population growth rate of 2.7%. West Melbourne’s population is projected to grow at more than double this rate: 5.8% per annum over the next two decades, increasing by 15,300 people by 2036. Why is West Melbourne changing? West Melbourne is a suburb in transformation, evolving from its light-industrial past to a lively residential suburb with its own ‘destination’ dining and retail. 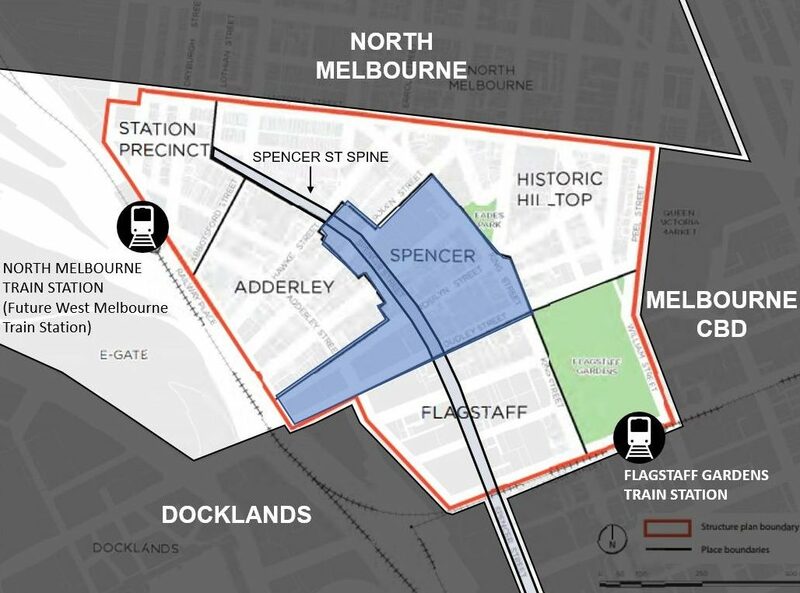 With its growing population, the City of Melbourne Council has developed a West Melbourne Structure Plan to guide the suburb’s future development. 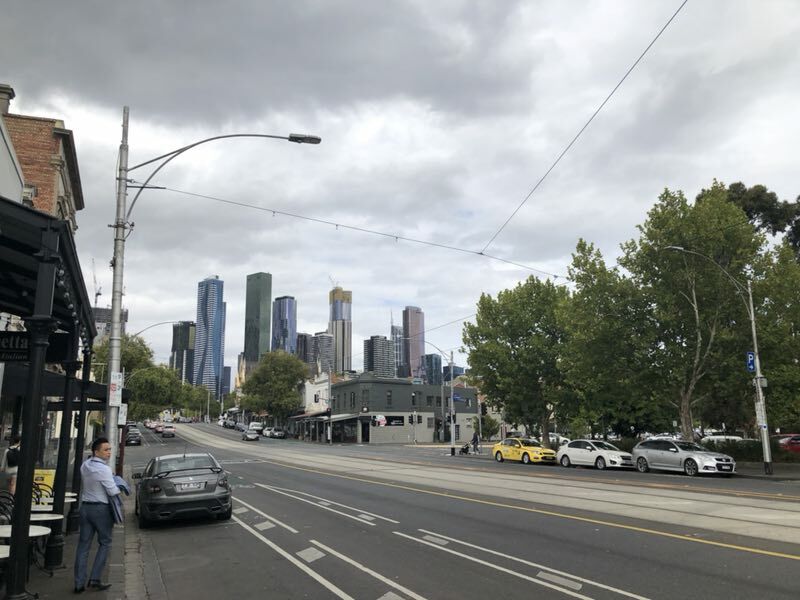 “Melbourne is growing fast and there is increasing demand from people to live and work in our inner city neighbourhoods,” said City of Melbourne, Cr Reece and Cr Leppert. “West Melbourne will retain its unique identity, varied areas of character and mix of uses as it evolves into one of Melbourne’s distinct inner urban neighbourhoods, and a counterpoint to the central city. Its wide green streets will provide excellent connections and a network of local places and spaces to rest and play with Spencer Street as a vibrant local high street.” – West Melbourne Structure Plan 2018. According to the Plan, five new precincts, each with their distinctive character will be created within West Melbourne. Central to the plan is to transform Spencer Street into a lively and dynamic high street. The new Spencer Street vision will feature: modern restaurants, cafes, cosmopolitan retail experiences and increased pedestrian, cycling and transport access. One of the most exciting aspects of this is the proposal to extend the CBD tram network along Spencer Street, right through the heart of West Melbourne. Further to this, the existing North Melbourne train station will be renamed West Melbourne station – to better reflect its location. The West Melbourne Structure Plan has already been endorsed by the Future Melbourne Committee, and is now seeking community feedback. “West Melbourne as a suburb has flown under the radar for some time now, however the new West Melbourne Structure Plan is sure to change that,” said Ironfish Head of Property, William Mitchell. “The suburb has been given a new direction, one that will create better transport, greener streets, and importantly a bigger and more vibrant retail scene and community atmosphere. 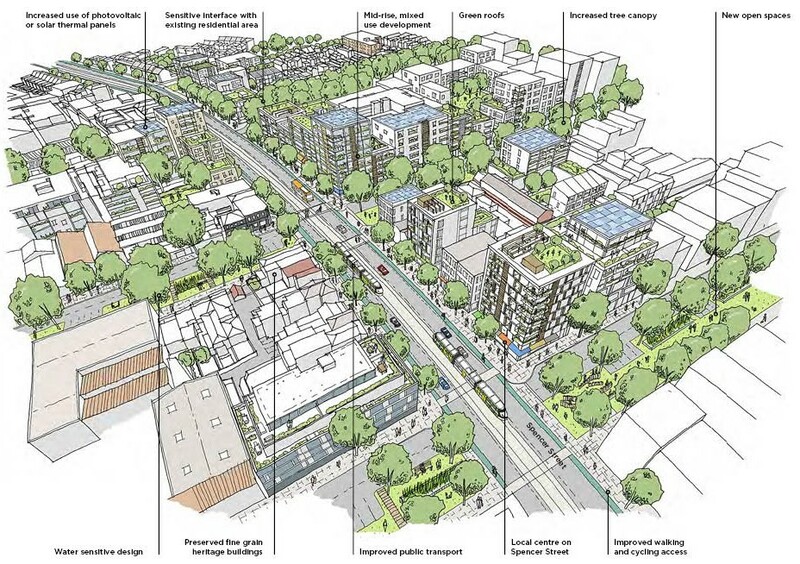 As the plan is adopted over the coming years, it will be fascinating to watch West Melbourne transform. As new cafes, restaurants, parks and potentially a tram line along Spencer Street arrive, more and more Melbournians will realise this is an incredibly well-located suburb, with big potential. Want to find out more about West Melbourne, along with our recommended properties within the suburb? Register to access our list of recommended properties here. Off the back of a growing tourism industry and an increasing local population, the Gold Coast Airport is undergoing significant upgrades and expansion to the tune of $370 million. The first stage of the expansion was completed last year, ahead of the 2018 Commonwealth Games, adding an extra 20,000sqm for aircraft parking space to help boost the airport’s capacity.Stage two of the expansion is the development of a new three-level airport terminal, including aerobridges, at the southern end of the current facility. By 2037 the Gold Coast Airport is expected to contribute $818 million annually to the region and support an estimated 20,000 full time jobs. Infrastructure giant Lendlease has been appointed to deliver the project, which is expected to generate up 1,500 jobs during construction and be open to passengers in 2021. “The [airport expansion] is good news for the Gold Coast and Northern NSW, where the population is forecast to grow significantly in the next 20 years,” said Deputy Prime Minister and Minister for Infrastructure, Transport and Regional Development Michael McCormack. 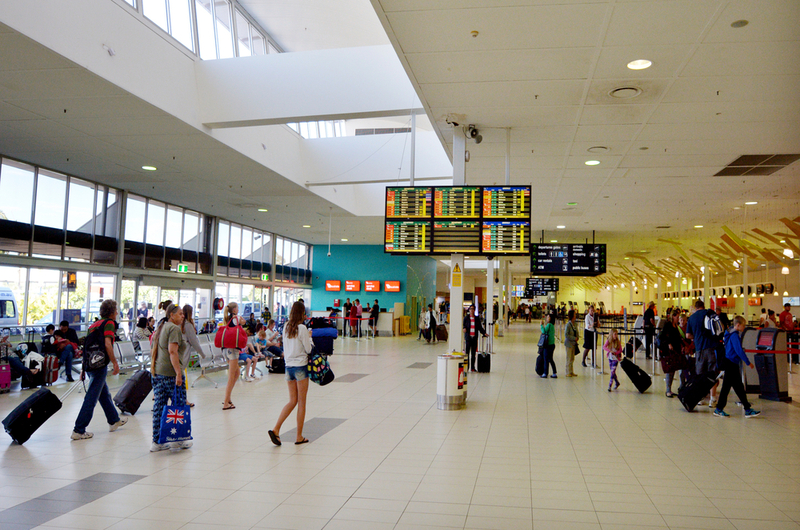 “Gold Coast Airport looks after 6.6 million passengers a year, and this will more than double by 2037,” said Queensland Airports Limited CEO Chris Mills. Tourism is a $4.7 billion industry for the Gold Coast economy, employing nearly 42,000 people. It’s also a growing sector and a key focus for ongoing jobs growth. The current Queensland state government is spending more on Gold Coast tourism than ever before – adding an extra $180 million in last year’s state budget to underpin continued growth in this area. 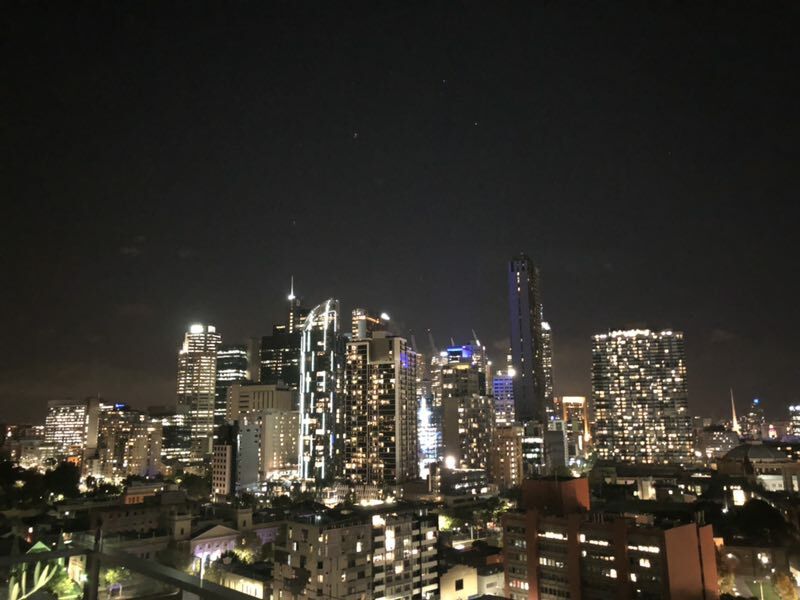 Gold Coast’s economy remains robust overall, enjoying an economic growth rate of 3.2% which outperformed the national economic growth rate of 2.9% in the 2018 financial year. According to ABS data, the Gold Coast also recorded a low unemployment rate of only 4.3% for the Sep 2018 quarter. This is a significant improvement from three years earlier, when the unemployment rate was 5.6%. The Gold Coast’s unemployment rate is also now much lower than both the state and national averages of 6.2% and 5.2% respectively. Over the 12 months to Nov 2018, the Gold Coast added 20,600 jobs, bringing the total number of jobs to 340,200 across a wide range of industries. The Gold Coast property market has also been resilient, with the latest vacancy rates sitting at a very tight 1.4% – a sign of strong rental demand. 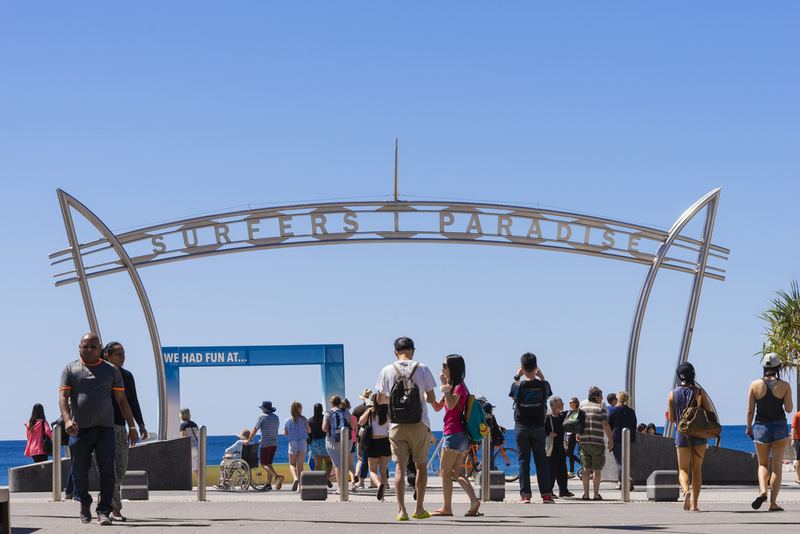 New residents, primarily from NSW, as well as retirees continue to be attracted by the relative affordability and lifestyle that the Gold Coast has to offer. According to the ABS, the Gold Coast recorded the highest regional internal migration, adding an additional 7,077 residents in the year ended June 2017. Retirees (people aged 65 and over) already make up a significant proportion of residents in the Gold Coast at 16.4% and this percentage is set to increase to 20.2% by 2036. “Over the medium term, these popular coastal destinations with good infrastructure are likely to continue to attract people for the lifestyle and affordability,” said Domain research analyst Nicola Powell. If you’d like more information about the Gold Coast property market feel free to book an appointment with your local Ironfish Strategist who can answer all your questions. Or you can access our list of selected properties in the Gold Coast by registering here. The latest GDP figures show the Australian economy grew by only 0.2% for the December 2018 quarter – a result below expectations set by the RBA. The media has also been widely reporting a ‘per capita recession’ – with Australia recording its second straight quarter where the economy shrank on a ‘per capita’ basis. But what do these metrics really mean within a longer-term context? On an annualised basis, Australia’s economic growth for the 2018 calendar year is now 2.3% – this is below expectations of 2.5-3%. However, it is still a positive result – not a recession. The ‘per capita recession’ refers to two consecutive quarters of negative economic growth per person. However, it’s worth noting this isn’t a common metric or one that is typically used in policy making terms. “Australia hasn’t had a “real” recession for so long that economic commentators have to search hard to find the next best thing. It’s been close to 28 years since the nation had a “technical” recession — that is where the Bureau of Statistics’ key measure of economic activity, gross domestic product (GDP), falls for two quarters in a row. The last one of these was the “recession we had to have”, which it turns out took place in the first half of 1991, even though then-treasurer Paul Keating uttered those words in November 1990. While the ‘per capita recession’ is not a common economic metric used for policymakers, it does offer a convenient opportunity for Labor or opposing political parties to take advantage of strengthening their campaign ahead of the Federal Election this year. Politics aside, it’s important to note our overall GDP growth is still positive and this comes despite a slowdown amongst our key trading partners, such as China. Australia also remains on track to record 30 years of continuous economic growth according to BIS Oxford Economics – an unprecedented achievement. “It’s important not to underestimate this milestone – what Australia has achieved over the past 30 years is nothing short of impressive, considering we’ve experienced serious economic challenges, such as the GFC and the Asian Financial Crisis during this time.” Said Ironfish Head of Property William Mitchell. According to AusTrade (Australian Trade and Investment Commission), Australia has achieved had the longest period of recession-free growth for any developed country in the world – again, quite a remarkable achievement. At the same time, Australia is now the wealthiest nation in the world by median wealth per adult according to the study by Credit Suisse, outranking countries like Switzerland, Belgium and the UK. Australia’s trend unemployment rate was recorded at a low 5% according to recent ABS data. It is currently at its lowest level since 2011. A major driver for employment is Australia’s current infrastructure boom, with almost $120 billion worth of construction work in the pipeline. This is expected to continue to support strong jobs growth and further economic growth as major infrastructure projects continue through to delivery. 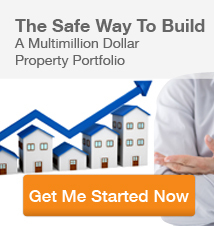 Want to stay ahead of the latest news and trends relating to property investment in Australia? Subscribe to our monthly newsletter full of the latest property news, research, trends and stories delivered directly to your inbox. Along with negative gearing, Labor’s proposed change to capital gains tax has been a key point of contention ahead of this year’s Federal Election. But if you look past the political spin and media headlines, what’s really likely to change and how might this impact your investments? A capital gain is the profit made from buying and selling an asset, such as property or shares. If you make a capital loss from the sale of an asset, you can carry this loss forward indefinitely and offset it against any capital gains. According to the ATO, most personal assets are exempt from CGT, including your home, car and personal use assets such as furniture. Despite its name, CGT is not a separate tax, it forms part of your income tax. If you buy and sell your investment property within 12 months, you get taxed on your profit at your marginal income tax rate. As a simplistic example: John has a taxable income of $80,000 a year. He buys an investment property for $500,000 in July 2018 and sells it just a few months later for $550,000. John’s new taxable income for FY2018 is $130,000 ($80,000 + $50,000). However, if you hold your property for more than 12 months, the profit you make when you sell your investment property is typically taxed at only half the rate of other income. For example, John has a taxable income of $80,000 a year. He buys an investment property for $500,000 in July 2018 and sells it in 2020 for $550,000. Being eligible for the CGT 50% discount, John’s taxable income for FY2020 is only $105,000 ($80,000 + $25,000). This 50% discount on capital gains was introduced back in 1999, to replace the former, more complicated ‘indexation’ method. This taxation advantage for future capital gains adds to the appeal of residential property investment for many Australians. If elected, the Labor party has plans to halve the capital gains discount for all properties purchased after a yet-to-be-determined date after the next election. In effect, this will reduce the capital gains tax discount for properties that are held longer than 12 months from 50% to 25%. So, as per the second example above, John would have a taxable income of $117,500 ($80,000 + $37,500) instead of $105,000 ($80,000 + $25,000) if the proposed changes go through. If you sell your investment property in less than 12 months, you’ll continue to pay the full capital gains tax – ie no change to what’s currently in place. Any changes will be grandfathered, which means they won’t apply to any properties purchased before Labor puts its changes into effect. These changes, along with negative gearing reforms have been proposed to tackle the issue of housing affordability – which has been a major issue, particularly in Sydney and Melbourne. However, critics warn that it may have the opposite effect, and public sentiment about Labor’s housing tax changes have been wavering. According to Goldman Sachs economists, if they are passed, Labor’s proposed negative gearing and capital gains tax reforms will in reality only have a small effect on individual investments, and residential property will remain attractive. There is also doubt as to whether Labor will be able to pass the changes if elected. 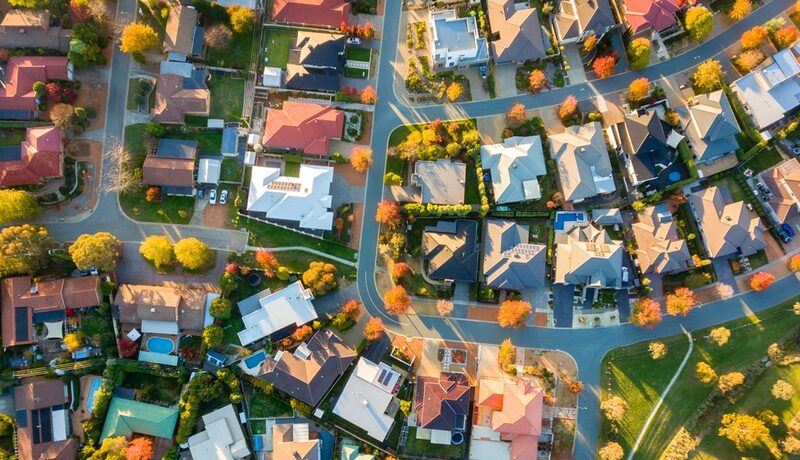 Goldman Sachs says Labor’s proposed negative gearing and capital gains tax reforms will only have a small effect on individual investments, and residential property will remain attractive. Regardless of whether or not the reforms go through, it’s important to note that investors still make up only a small minority of Australian taxpayers. Further, many property investors in Australia, use residential property as a means of saving for retirement – providing an ongoing supply of rental properties, and creating many self-funded retirees, who do not expect help from the government. As CGT is only payable if you sell your asset, for long-term investors, any changes to the discount will have no immediate application. Investors also don’t need to sell their property to realise gains – they can simply refinance and use their equity to build their portfolio further. “If the changes were to be implemented, it is anticipated a proportion of investors will elect to hold investments for longer periods of time, or even elect not to sell,” said Ironfish Head of Property, William Mitchell. If these changes do pass, and investors do need to sell, their future capital gains will continue to be preferentially taxed to other income, albeit with a smaller discount. 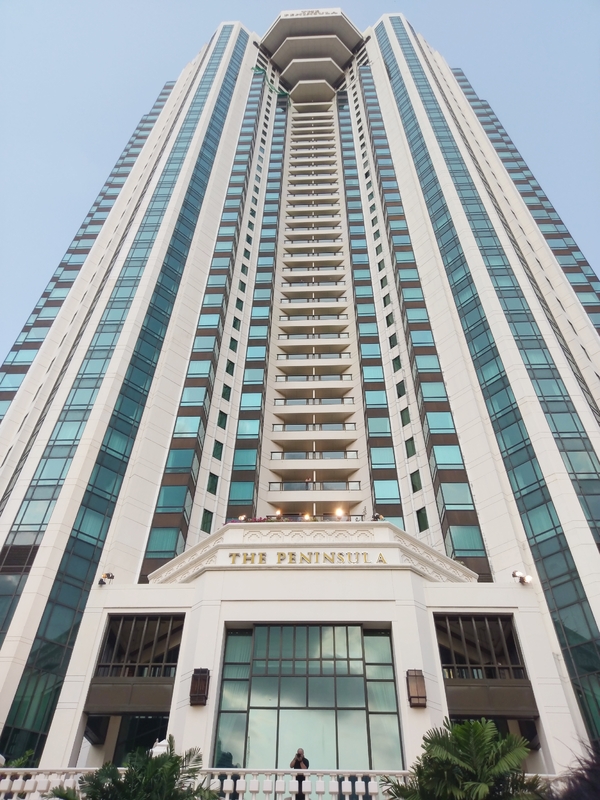 Whichever way the penny falls in the upcoming election, at Ironfish we continue to advocate a long-term buy and hold strategy, and to ensure you build a diverse portfolio of quality properties, with strong owner-occupier appeal in great locations. While the market will always fluctuate over the short term, and policy changes will come and go, we expect long-term demand for good properties in the right locations to remain strong. We hope this blog has given you a better understanding of the general concept of capital gains and CGT. But if you would like more information about these or other taxation matters, please seek advice from your qualified finance professional. We are happy to provide some recommendations of finance professionals if you need – just drop us a line. This important question set the tone and theme of this year’s Annual Ironfish Conference. 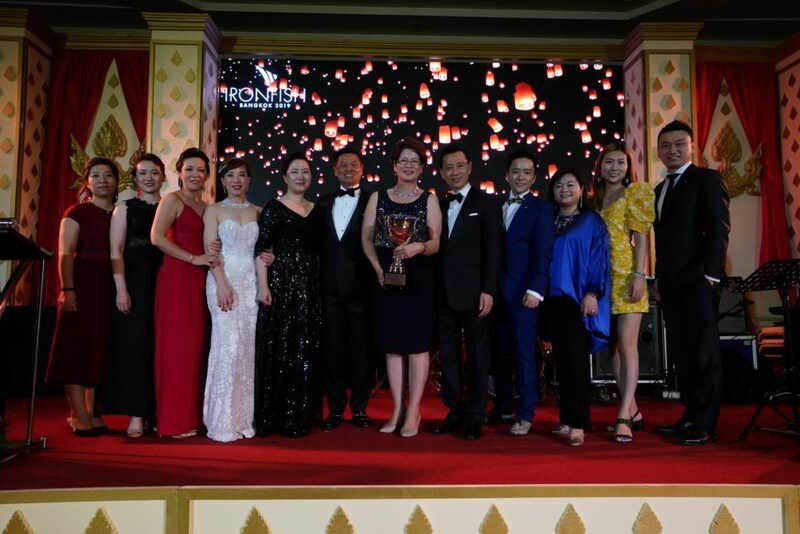 Hosted in a different city each year, the Ironfish Annual Conference is an opportunity to recognise the efforts and achievements of our outstanding team members, reaffirm our values as a company and learn more/grow our skillset as a group. 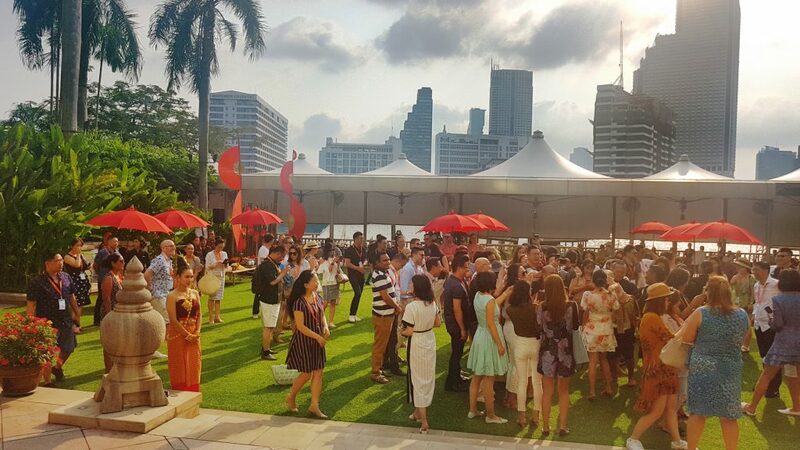 This year, our annual conference was held in Bangkok, Thailand at the beautiful Peninsula Hotel on the Chao Phraya river, bringing together 85 of our top achievers across Australia and China. Over three busy days – from February 28th to March 2nd, the team gained new inspiration, insights and tools from the Ironfish leadership team on how to better connect with and add value to Ironfish customers. “Everybody has had an experience where someone has served you – but hasn’t really ‘served’ you,” said Ironfish Director, Property & Research Grant Ryan. Ironfish CEO & Founder, Joseph Chou, kicked off the discussion on Day One, with an overview of Ironfish’s own journey – from a single office with 12 staff, to today, with 14 branches in two countries, over 350 staff and more than 13,000 customers served. 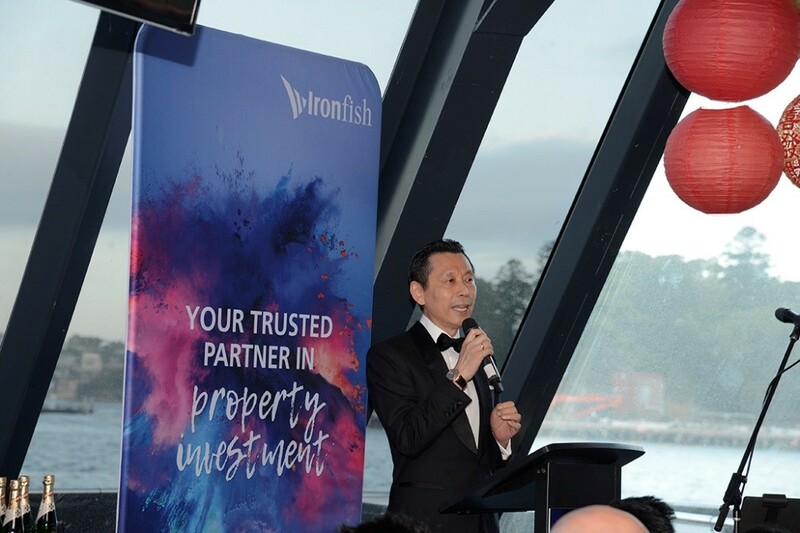 Joseph also pointed out a powerful statistic about Ironfish employees – whereby 85% of our staff are property investors themselves. By comparison, in Australia, only about 8.5% of Australians are property investors. “Through the example you set for our customers, and through your dedication, we can not only help our customers to see a bigger, brighter financial future for themselves, we can also show them how to achieve it through investing. We can help them to feel confident to take action. 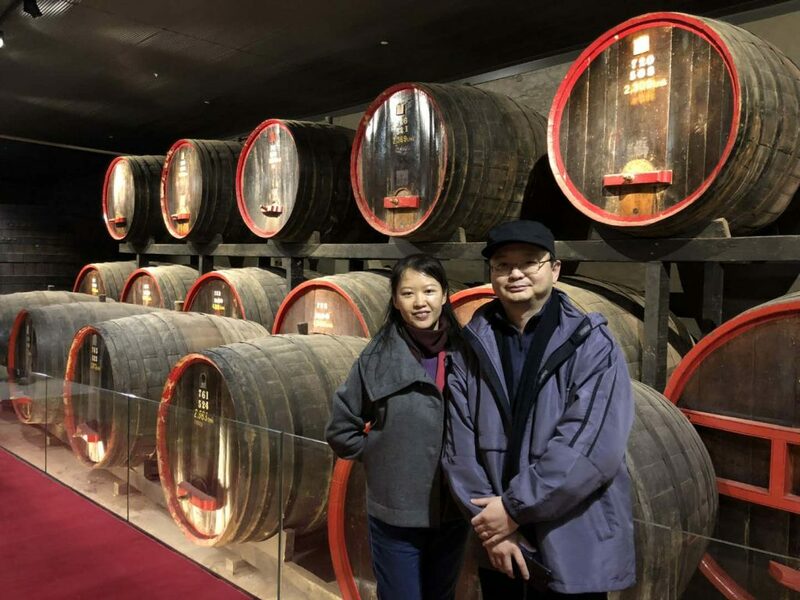 Our attending Strategists heard stories not just from our CEO and leadership team, but also from our Senior Strategists: Priscilla Cheung and Bruce Guan for some first-hand advice on how they have grown trust, credibility and loyalty amongst their own customer base. “One of my customers had experienced water damage from an upstairs neighbour in her own home (not an Ironfish property). It was creating a lot of anxiety for her. Since I work in the industry, I have a great network of contacts – I sent a building inspector (at my own cost) to write up a report, I briefed her solicitor to make a claim with her strata. I make my customer’s problems my problem – whether they directly relate to investing or not.” – Ironfish Senior Investment Strategist, Bruce Guan. On Day Two, the entire team also undertook an extensive briefing by our Head of Property William Mitchell, on each of the five major property markets in each city. Mr Mitchell provided a comprehensive update on each city, their sub-markets, new trends, performance indicators and data for the short to medium term – but added an important clarification. 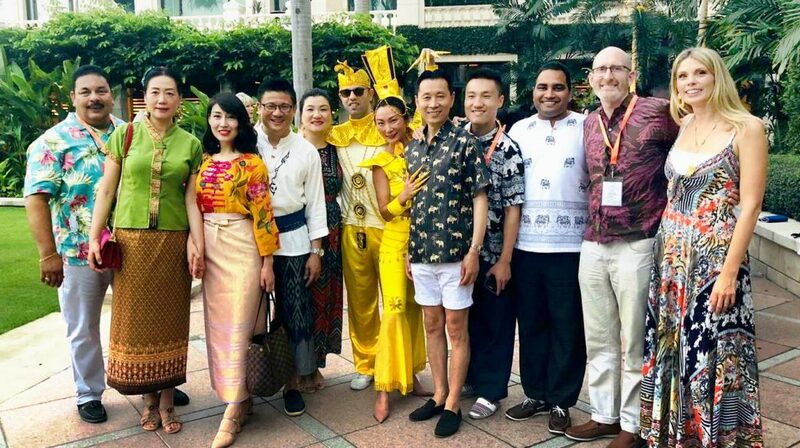 In between the many presentations and educational sessions, attendees were treated to unique cultural experiences, including a Thai-themed dinner, a bike ride through Bangkok back streets, temple visits, turtle feeding and a memorable Muay Thai performance. A couple of our own attendees had an opportunity to try out their skills in the ring also. 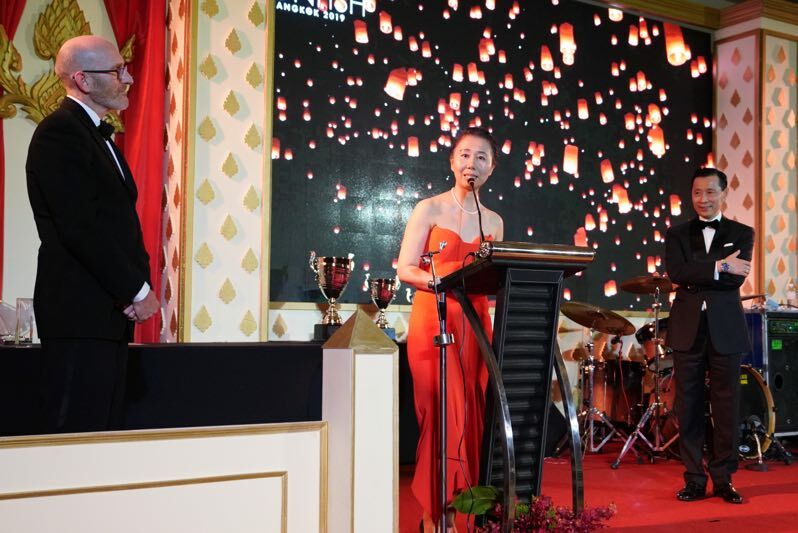 The event culminated in a Gala Dinner and Awards Ceremony to recognise the achievements and service of our team members. “Ironfish is a people company at its heart and we’re very proud of the talent we’ve managed to acquire here, and to keep with us over the last 13 years. 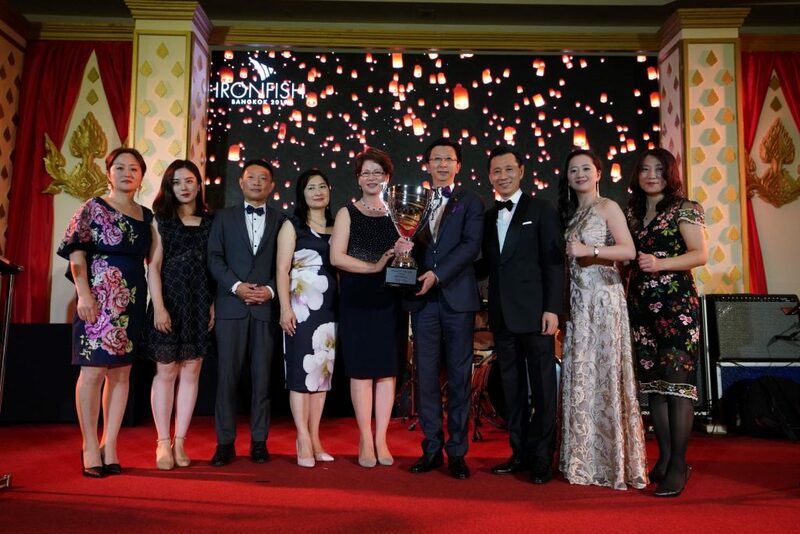 Our conference provides an opportunity not only to help our people to keep growing and developing, but also to reward their hard work and outstanding achievements,” said Ironfish CEO & Founder, Joseph Chou. 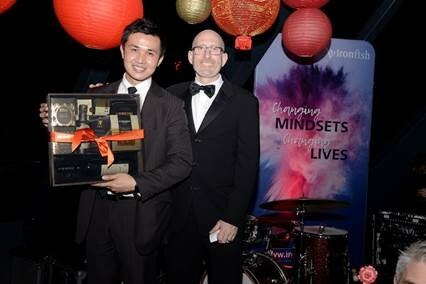 Our Strategist of the Year award went to Chen Chen from Box Hill. In a very honest speech that resonated with many in the audience, Chen Chen talked about how much she herself had changed as a result of joining Ironfish and how her goal for the upcoming year is to work more on herself – to become a better person- kinder and more patient and to help more customers change their mindset as the first step to changing their lives. 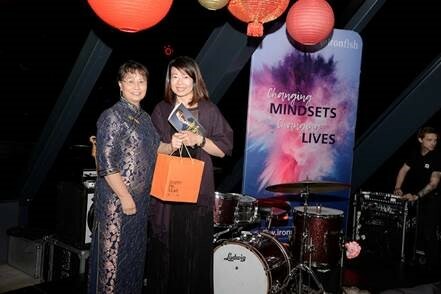 Our bronze and silver awards went to Priscilla Cheung of North Sydney and Shelley Zhang of Glen Waverley, Melbourne. 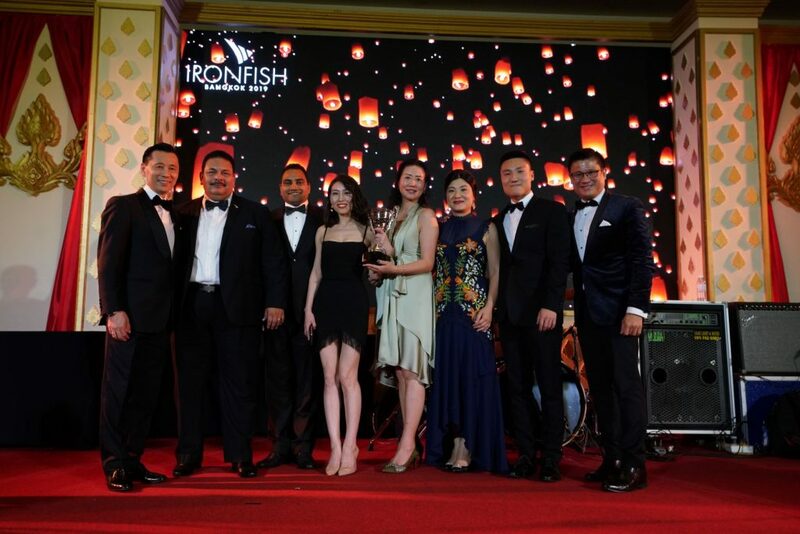 In addition, Shelley Zhang and Jason Jin (from the South Yarra branch) entered the Ironfish Hall of Fame for their long-standing contributions. Three Ironfish staff celebrated a momentous anniversary of 10+ years of service with the company: Teresa Liu from Head Office, Julian Stevens from Adelaide and Li Pan from Box Hill. All three talked about how much their time with Ironfish had changed their lives for the better. Next year, Ironfish’s annual conference will be held in Sydney, the city where Ironfish was first founded back in 2006, with the opportunity for attendees to experience some hospitality from our founding city and Head Office. We look forward to welcoming our interstate and overseas team members here in Sydney next year. We would also like to thank all our conference attendees and event organisers, and also send a big congratulations to our high achievers. We’re so proud of your energy, integrity and your dedication to helping families make significant financial progress in life. It is truly life changing work that we do, and we feel lucky to be able to do it together. Are you ready to start building a portfolio for your future? Our team is now back from Bangkok, energised, inspired and ready to make 2019 your year. Make an appointment today for a personal strategy and analysis session with one of our amazing Strategists. This is a free service we offer, here at Ironfish, as part of our commitment to helping families achieve long-term financial wellbeing through portfolio investing. 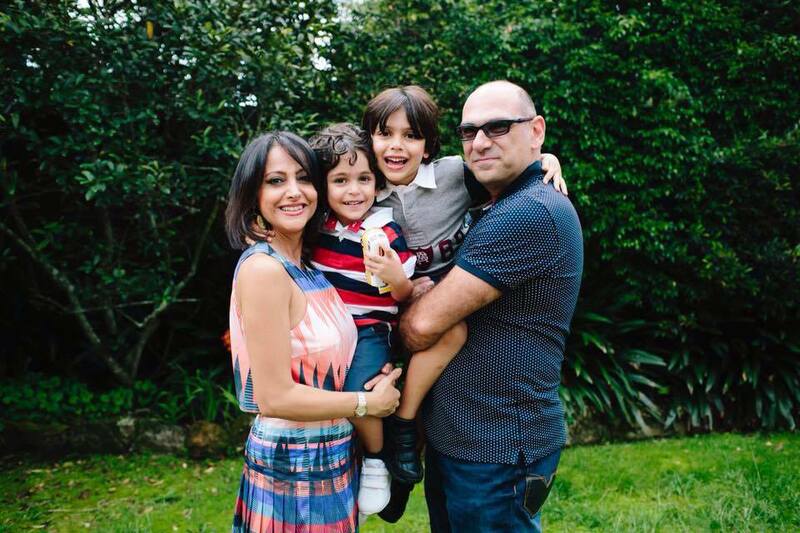 Mahsa and her husband Sharam migrated to Sydney from their home country of Iran nine years ago. They have been busy raising two sons, now aged four and seven, and establishing themselves in their new country and new home. Mahsa holds a Masters in Energy Economy and was an Economist in Iran. 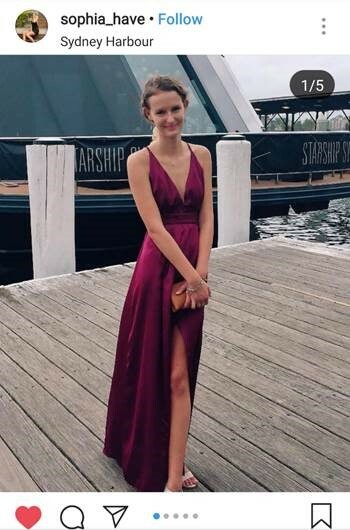 Here in Sydney, she now works in retail as a sales assistant at David Jones. Where to buy an investment property in Australia? Once Mahsa and her husband had managed to save enough to make investing a possibility, they were then faced with another challenge. “After we could save some money we decided to think about investing in property here in Australia as well. The problem was we knew that our money still wasn’t enough for Sydney and we were struggling having no information about investing in Australia. Also, we couldn’t get our foot in the market as we didn’t know any professional person who could help us invest with our limited budget in a good area. School networks are often an important way to transition well into a new school or community. 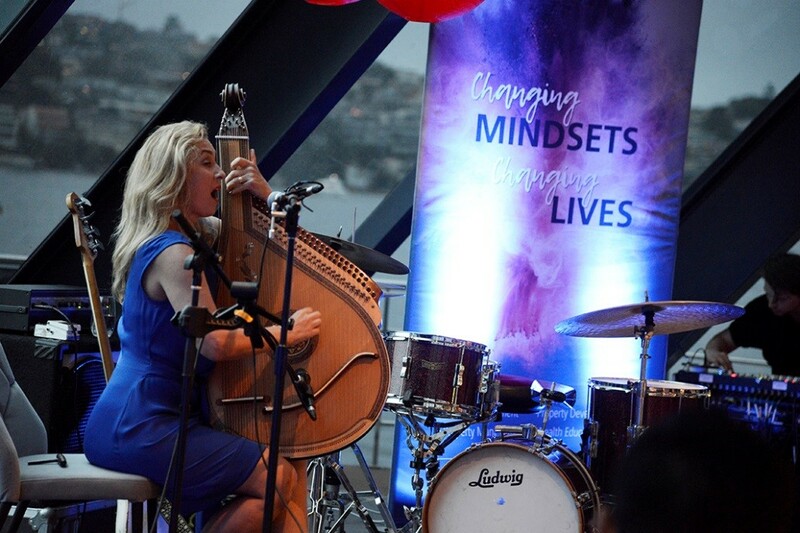 For Mahsa and her husband, her kids’ school network was also how she found out about Ironfish – through our North Sydney-based Property Investment Strategist, Ilinna Avni. “We first heard about Ironfish from Ilinna. We knew Ilinna from my son’s school and we had built up a nice friendship together. In one of our family activity days with the kids, we talked about our jobs. When we found out her line of work, we asked her if she could help us in this area. Mahsa’s confidence to invest was based on a strong foundation of trust with her strategist. But since then, she has been grateful for the many service and support she’s received from Ironfish – even well after the property purchase. “Our Strategist Ilinna is very kind and is ready to help us whenever there is any need or questions. She gave us all the information we needed from the first day and still she is ready to help whenever we ask her. I know she is doing her best to help us and she wants the best for us – working within our own budget and situation. Mahsa and her husband at our recent customer appreciation black tie event. I think investing in a portfolio of properties is the safest way to invest your money – especially when you’re prepared to invest for the long-term. I don’t think anyone would regret it – especially if they have the correct information and professional help to invest. I recommend Ironfish to anyone who wants to get into the market, especially those who don’t have information or time themselves. I’ve recommended Ironfish to all my friends so far. Investment needs specific information and professional views on that market and the Ironfish team is really professional and caring during the process of buying and even afterwards. Want to hear from more of our customers, in their own words? Find more customer stories and Ironfish reviews here. With the Federal election around the corner, the Banking Royal Commission findings now released, housing supply on the decline and Australia’s population growth remaining strong – 2019 promises to be a very interesting year for property! Take a look at the key trends to watch as the year unfolds, along with some of the key drivers of each of the major capital city markets. 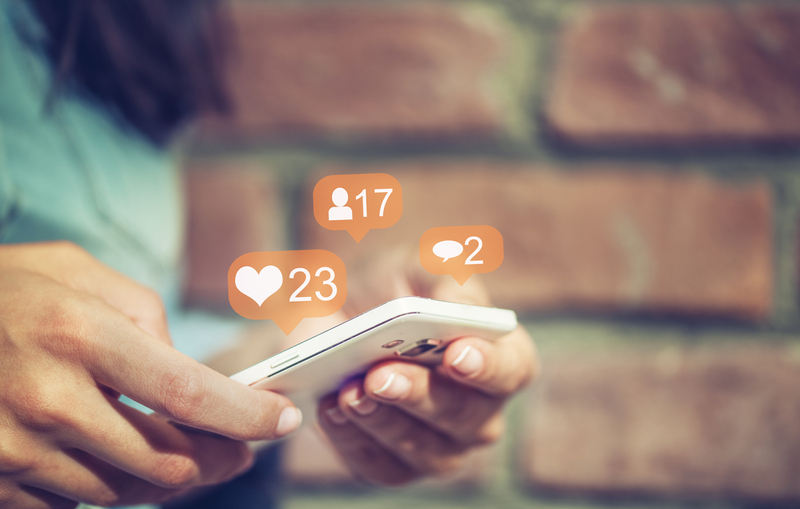 At Ironfish, we have a dedicated property and research team which regularly publishes property market research, data and analysis in a variety of printed and digital publications. We also produce property market update videos, covering the Sydney, Melbourne, Brisbane, Perth and Adelaide property markets to provide quick, informative snapshots for our investors. These videos cover a range of factors relating to capital city property market performance, including economic and demographic drivers, supply and demand, as well as housing and apartment market performance. Our videos are presented by Ironfish Director, Property and Research Grant Ryan. This month, as many of you probably know, we have begun a new lunar year: the ‘Year of the Pig,’ according to the Chinese Zodiac. In China, the pig is a symbol of wealth and abundance. At Chinese New Year, we give out red packets filled with ‘lucky money’ as gifts and would wish others “Gong xi fa cai” – literally, a wish for wealth and prosperity for the year ahead. 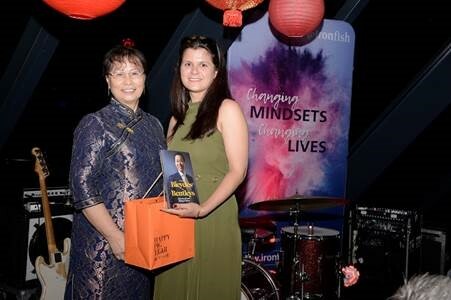 In Chinese tradition, as you can see, we do not shy away from the idea of ‘wealth’ – in fact, we proactively wish it for our friends, family and colleagues as part of living a happy and successful life. There are a lot of Australians, in our experience, who also would wish for more wealth in life, but simply don’t know how to make it happen or don’t believe they can – because they’ve been told for so long that it’s impossible or have never learned how. It strikes me that in Australia, wealth is considered a taboo topic. We don’t talk about money, we don’t teach wealth at school, and we certainly don’t wish others good wealth or fortune at Christmas or on birthdays! But I believe that everyone deserves more wealth. I also believe that most people, in their heart of hearts, would probably want a bit more wealth too – even if they may not voice it out loud. Imagine if you’d been taught at a young age or at school how to save, use credit cards properly, look into your super, invest in income-producing assets – how different life might be today? Historically, wealth has had a negative connotation; centuries ago, most wealthy people made their money through feudalism, war and violence. While in today’s society, we see materialism and excess flaunted in all aspects of the media and celebrity culture. While there may be a section of wealthy people who fit this stereotype, it’s certainly not a wholistic picture. 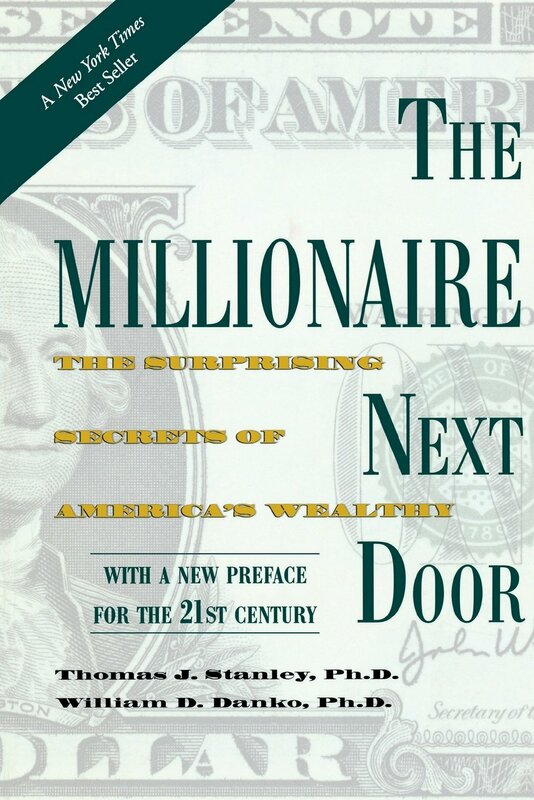 In his book, ‘The Millionaire Next Door: The Surprising Secrets of America’s Wealthy,’ author Thomas J Stanley interviewed a number of American millionaires. 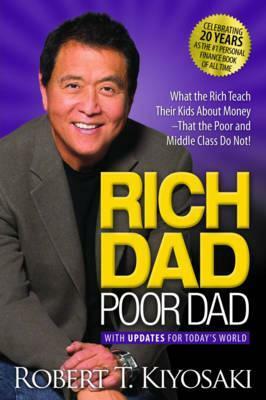 He ultimately drew the conclusion that 95% of millionaires in the US actually live a relatively simple and modest life. In my own experience, I have noticed the same. 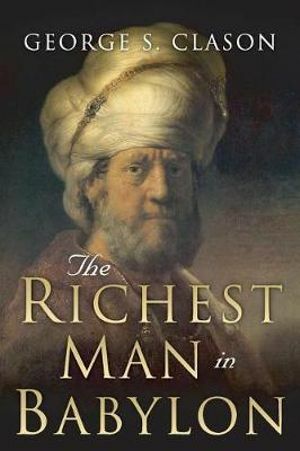 The wealthy people amongst my acquaintance live relatively simply and are very humble and generous in nature. Those with kids tend to be even more disciplined with them, very careful not to spoil them and ensure they learn the importance of working hard towards their goals. They also see their wealth as a responsibility to build opportunities for others – through business and through contributions to charities. This is certainly how I see it for myself as well. Wealth doesn’t have to be a negative thing, or something to reject. In fact, wealth is an essential part of living a happy life. We do many things to find happiness in life. Love is a major one; we will pursue happiness through love, only to find that love can fade, and love on its own doesn’t make us happy. Good health and wellbeing are also important – exercise, eating well, taking care of yourself – all of this makes us feel good. But again, on its own, it’s not enough. The last factor that tends to get overlooked is wealth. Like health or love, wealth on its own will not equate to happiness, but it can certainly contribute in a big way. For example, if you hate your job, but you need your job to pay the bills, then you might bring that stress home, where it will start to affect your relationship or your mental health. If you had a bit more money it would make it easier to change jobs and find something else that you may find more fulfilling. There are many everyday things can be solved by having a little bit more money – to take any financial pressure off your relationships, to help you access resources – good, nutritious food, or exercise facilities – to live a healthier life. Or the flexibility to have more time to spend doing what makes you happy and spend more time with your kids or loved ones. The universal formula for happiness, therefore, is the combination of these three elements: health + love + wealth. While there’s no doubt that wealth can remove your own worries or struggles, and enable you to live your own dreams, it also has the potential to do something much greater. 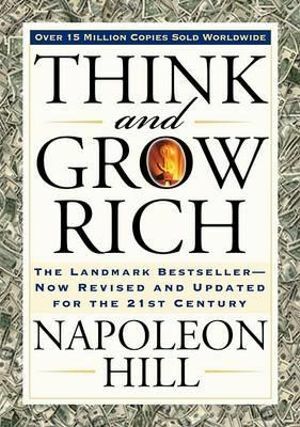 The more wealth you have, the greater your ability to look at the bigger picture. Your family will likely be first in mind; I myself felt good to be able to look after my parents, and my siblings as well and my friends. But beyond your own circle, you also have the capability to help many, many more people. I had a friend who had some acquaintances working very hard to raise funds to improve a community park and playground. They had been working at it for months, and my friend, once he found out about it was so glad to be able to just write a cheque and solve the problem. 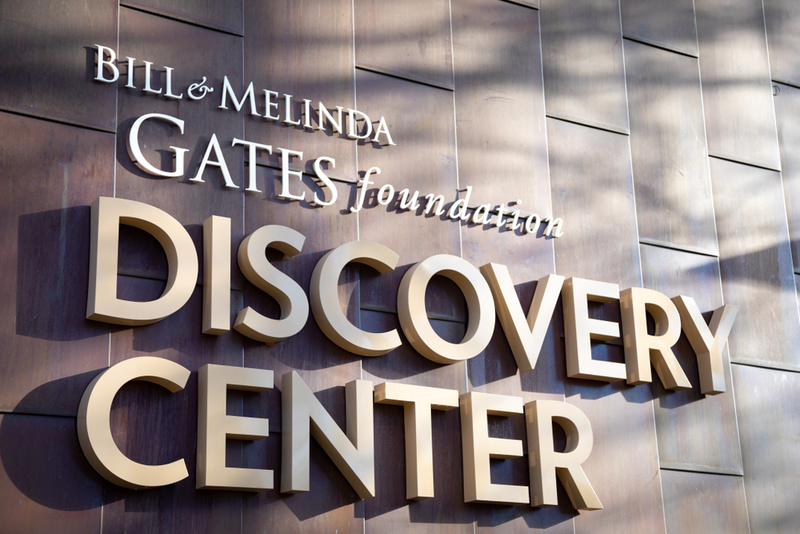 On the top end of that scale, you have something like the Bill and Melinda Gates Foundation. It holds $50 billion in assets and through investments in health, agriculture, education, and other sectors has helped innumerable people – including the most vulnerable people in the world. For example, since 1990, 122 million children’s lives have been saved – due mostly to getting more vaccines out to kids who need them but can’t afford them. There’s no doubt that wealth can be a very important resource to bring about the positive change you want to see in the world. With wealth also comes knowledge and experience – and that too, feels good to give away. This is one of our great passions at Ironfish; to remove the veil of secrecy that often shrouds wealthy people. We want to share our knowledge and experience of investing, so others can benefit too. But whether you want to build more wealth is a personal decision; not everyone is going to want to and not everyone is going to succeed at it if they try. There is no certainty in life; it would be great if someone could just offer you a guarantee that if you did these 10 things – all of which are legal, ethical, doable, but hard work – then you will 100% become a millionaire. But it’s not going to happen that way. And without that certainty, it’s hard to push past your comfort zone to give it a try. But if you decide that you do want it, then the next steps are relatively simple: find out what the price is i.e. find out what you need to do to achieve it, and then pay that price. If that sounds like you, and 2019 is going to be the year you start focusing on your own wealth: know that we at Ironfish are here to help. To those who are already Ironfish investors, we thank you for choosing to build your dreams – and your wealth – with us. 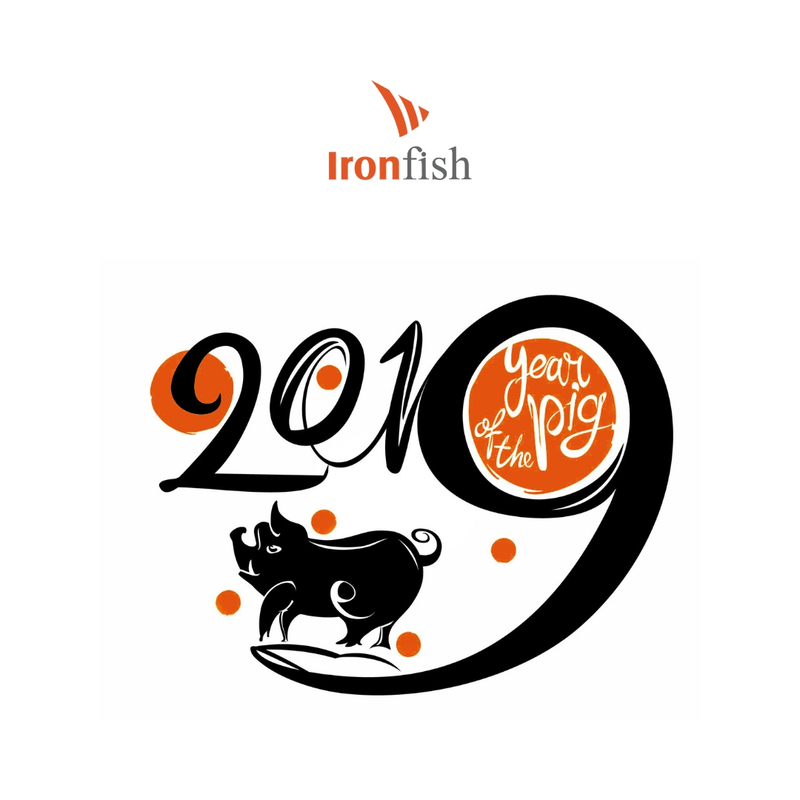 And on behalf of Ironfish, we wish everyone wealth, good fortune and happiness in abundance in the Year of the Pig! 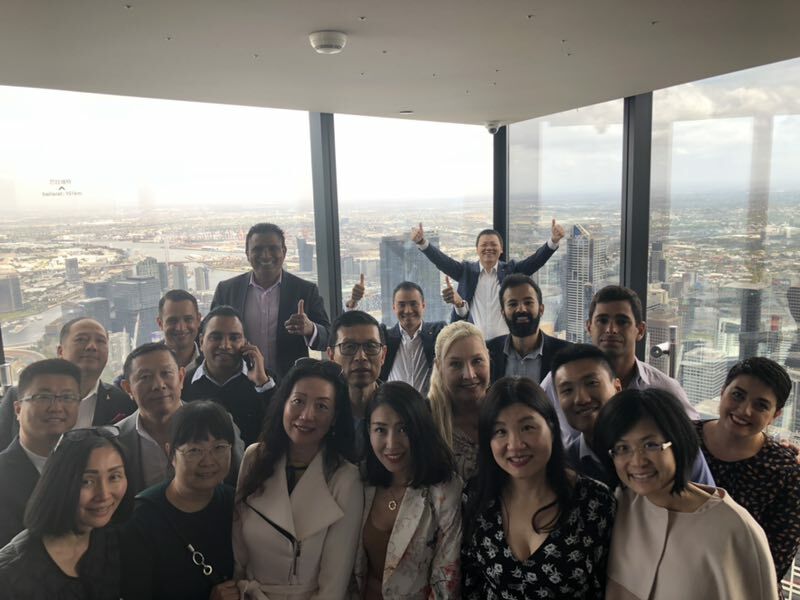 Ironfish CEO & Founder Joseph Chou regularly travels around Australia presenting at a range of events on the topics of entrepreneurship, mindset, success and investment. Many of these events are free to attend; take a look at our events page to see where he is speaking next. A fusion of cultures and a lively, eclectic village vibe give the inner-city Brisbane suburb of West End a unique charm. But there’s an x-factor which has seen demand for property in the area increase by up to 30% in the last six months alone. West End is only 1km from the Brisbane CBD, and while it has every urban convenience, it enjoys a more laid-back vibe than the heart of the inner city. Apart from being a stone’s throw to the city, West End is also an easy and convenient distance to some of the Australia’s most prestigious universities including The University of Queensland (UQ), Queensland University of Technology (QUT) and Griffith University. Natural beauty abounds, as West End’s unique positioning means that residents can enjoy a combination of park, river and/or city views. Orleigh Park and Davies Park are the perfect natural vantage points and Riverside Drive provides a fantastic riverfront vista for a morning walk or run. Council is investing in the suburb as well, with a $2.1 million upgrade to Davies Park, expected to complete by January 2020. Described as Brisbane’s artistic and cultural enclave akin to Paris’ Latin Quarter, New York’s Greenwich village or even Sydney’s Erskineville/Newtown, West End is where you go for vintage fashion, craft beers on tap, great dining options, and a lively music and bar scene. Brunch is an event in West End, with a plethora of amazing cafes where great coffee is a given. Some of the most popular spots include Plenty, West End Coffee House and Morning After. On Saturdays, Brisbane locals head to West End’s iconic weekend markets in Davies Park, to stock up on organic produce, snap up a unique piece from up and coming fashion designers, or to enjoy a good coffee and a bit of live music. For young families and couples, West End has another major drawcard or ‘x-factor’. West End sits within the catchment area for the coveted Brisbane State High – the best public school in Brisbane, and the second-best Brisbane school overall, according to Better Education rankings. 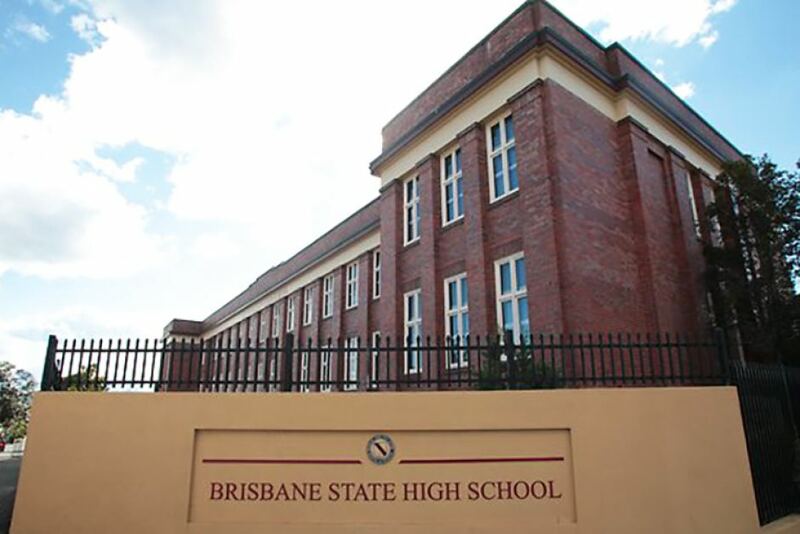 Brisbane State High is the only public school ranked in Better Education’s top 10 Brisbane high schools. When you consider that the other nine private schools in the top 10 have fees of over $20,000 a year, it’s easy to see why demand for a West End address is strong – and buyers are willing to pay a premium for it. Luke O’Kelly of Ray White – West End told News last month that buyers were willing to pay up to $100,000, or around 10% more, for a property in the Brisbane State High School catchment. 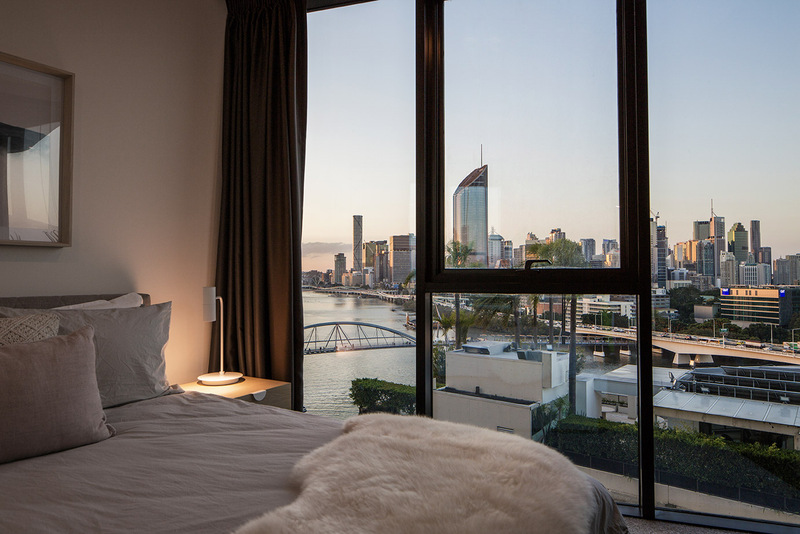 While, Michael Hatzifotis of Place Estate Agents – Kangaroo Point said demand for properties in the catchment had increased by up to 30% in the past six months. Because of its great lifestyle appeal, inner-city location and desirable catchment area, West End has a very broad appeal. 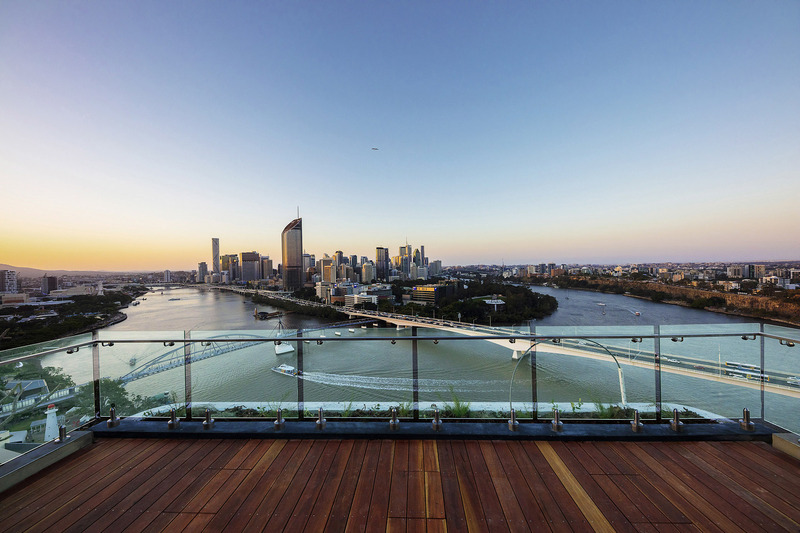 “In many ways, West End is one of the suburbs that represents the very best that Brisbane has to offer, in terms of location, with its combination of great parks, river views, lifestyle and close proximity to the CBD, and Brisbane’s best educational institutions,” said Ironfish Brisbane General Manager, Irene Liu. “If you go to West End, you’ll find two major demographic groups. The first is the under 30s group – a lot of single professionals, who love the lifestyle – being so close to work and having an array of choice when it comes to great restaurants, cafes and bars to head to over the week or on the weekend. “The other major group is families, who live here for access to Brisbane’s best schools and educational and cultural facilities – the QPAC library, for example, or Southbank’s museums – as well as amazing parks and the quiet, ‘riverside’ lifestyle. You’ll find a variety of luxury apartments along the river, and residents here are primarily families or retirees who want that mix of riverside living with all the great lifestyle benefits,” Ms Liu said. We have a very exciting new investment opportunity coming up in West End. Take a sneak peek at some of the designs below. If you’d like to be notified once details are released, you can register here.